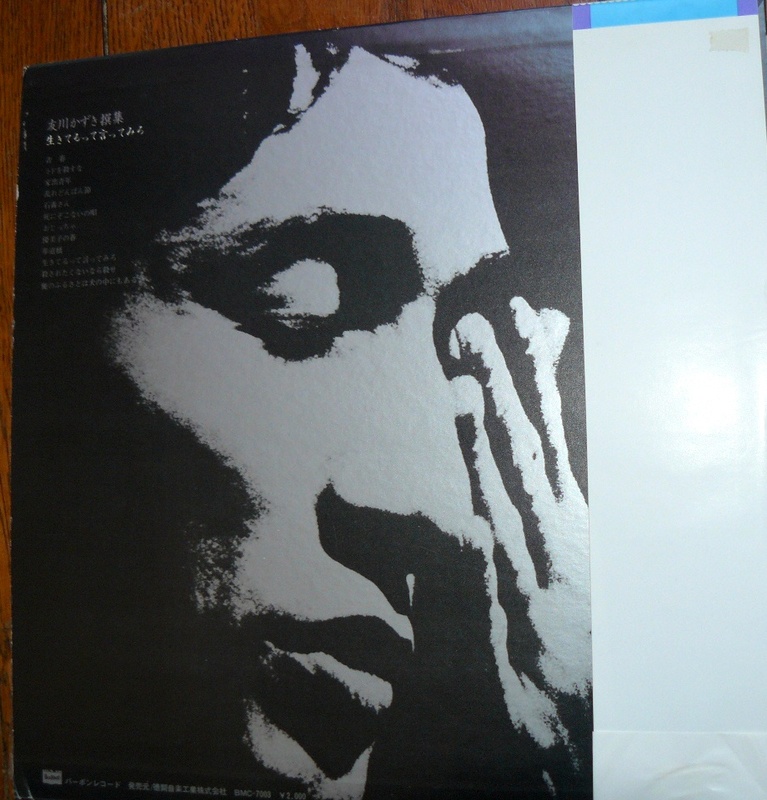 First album by the legendary singer who sadly passed away in 2010. 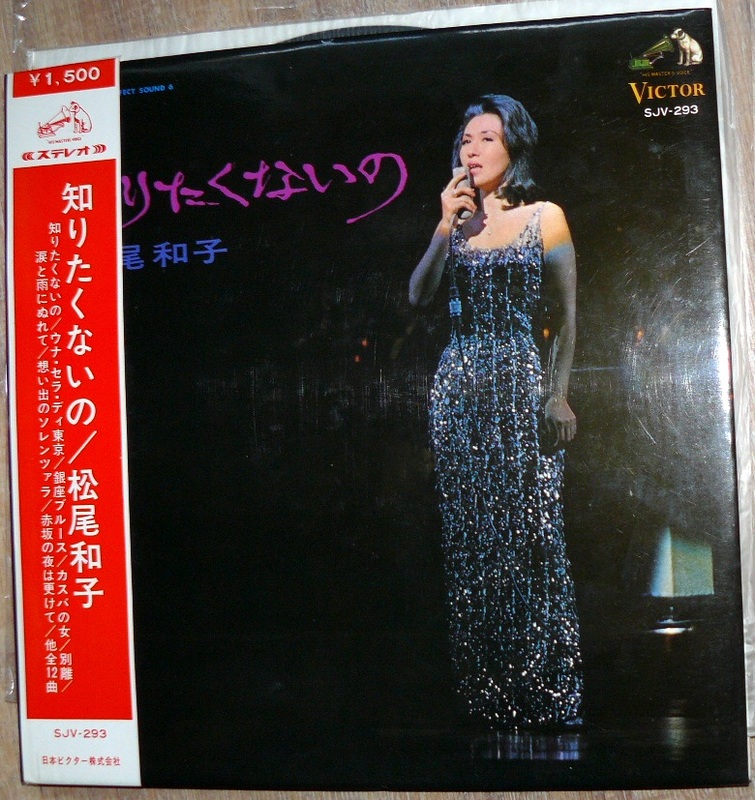 She was a true legend, known as a jazz / blues singer at US Army bases in Japan before getting her big break in a series of concerts organized by underground playwright Shuji Terayama in 1968. evidently she was under a saint Germain des Près influence with her all dressed in black and nicotine smokes. This first album is my my favorite so far, hinestly it tokk me soem years to fully appreciate it. it’s a mix of blues, jazz and even some funky tunes with some concrete sounds between tracks. I’d say she had the blues. Dark clad, nicotine stained and black sugarless coffee drenched female vocals against an avant-jazz backing, excellent for those late night booze drenched evenings. 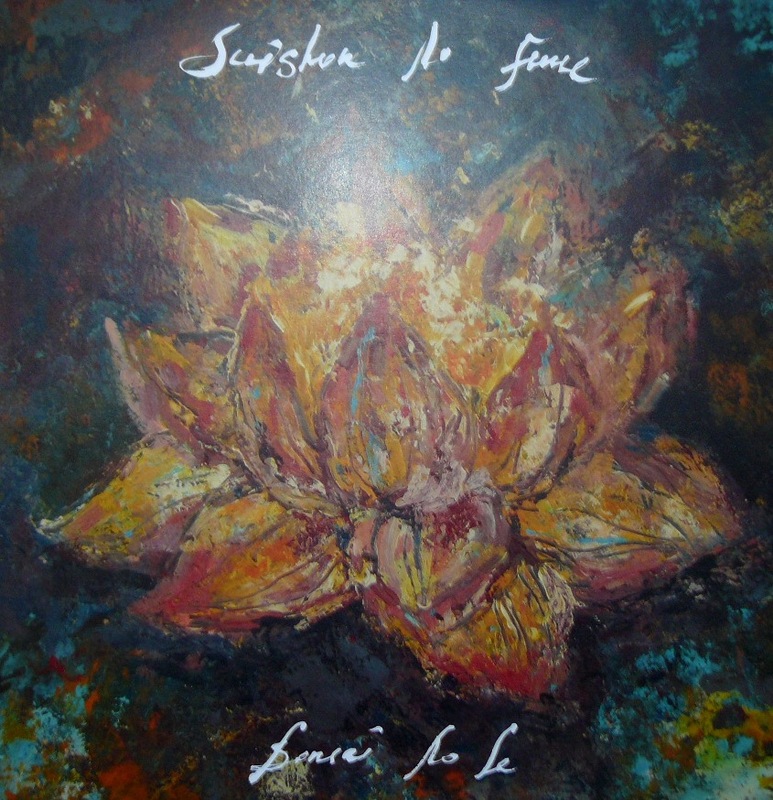 Jazzy-styled acid folk with superb female vocals. 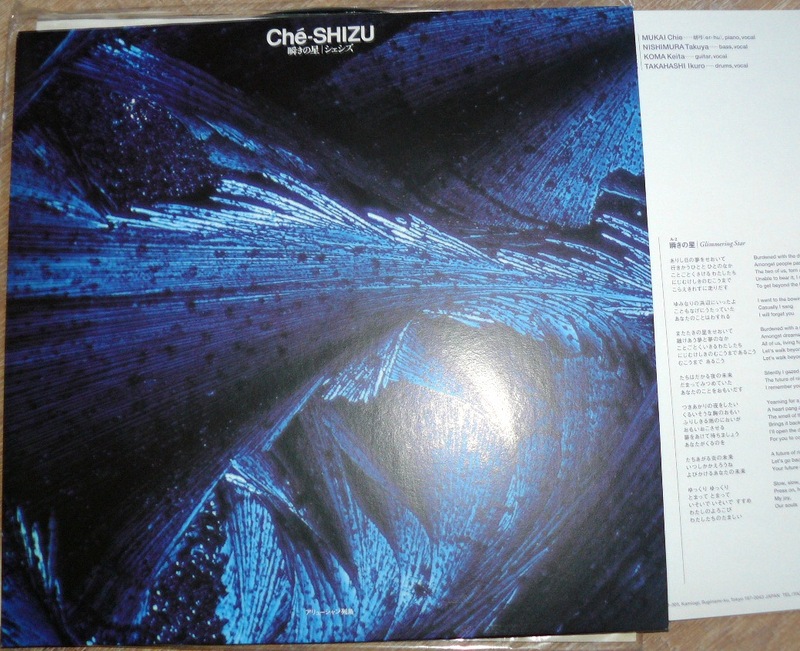 Jazzy influences touch on fragile acid folk with psychedelic overtones. 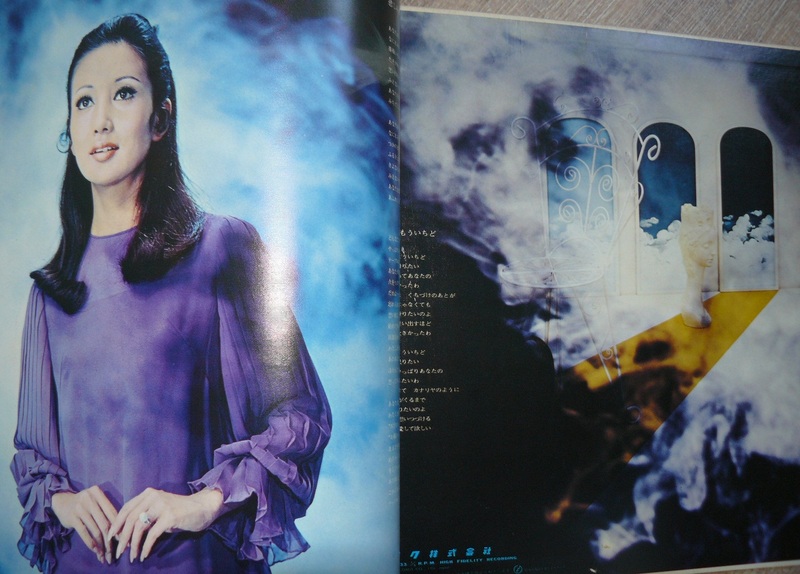 Fantastic and quite unknow album by a legendary actress and singer, the best album of this month. 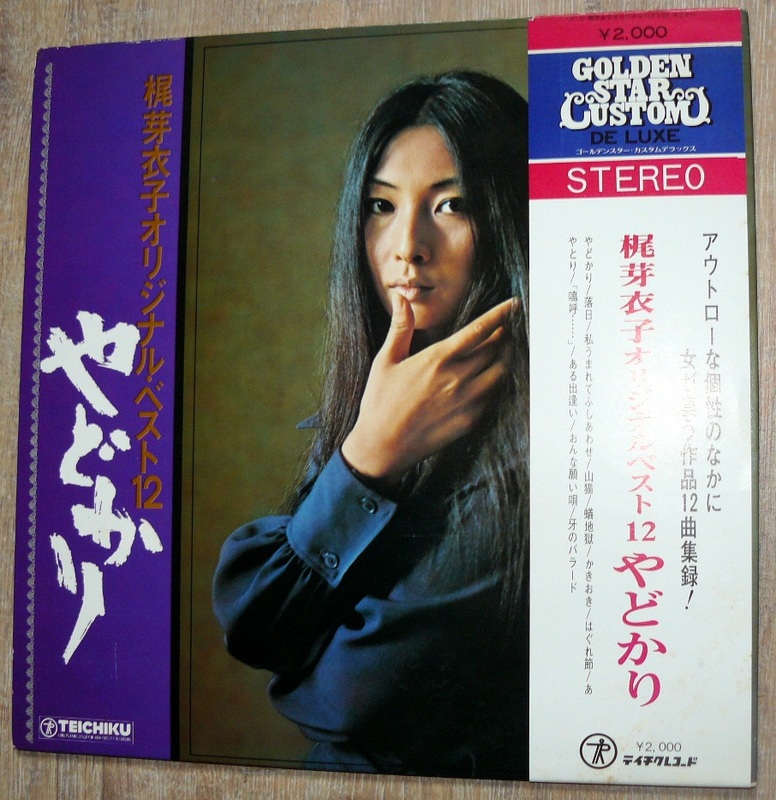 A very surprising album with these folkloric covers, same as Eri Chiemi, Hibari Misora but here we have a lot of tradionnal instruments, backed voices and a very typical bass of the early 70′s (like 1st Meiko Kaji album). 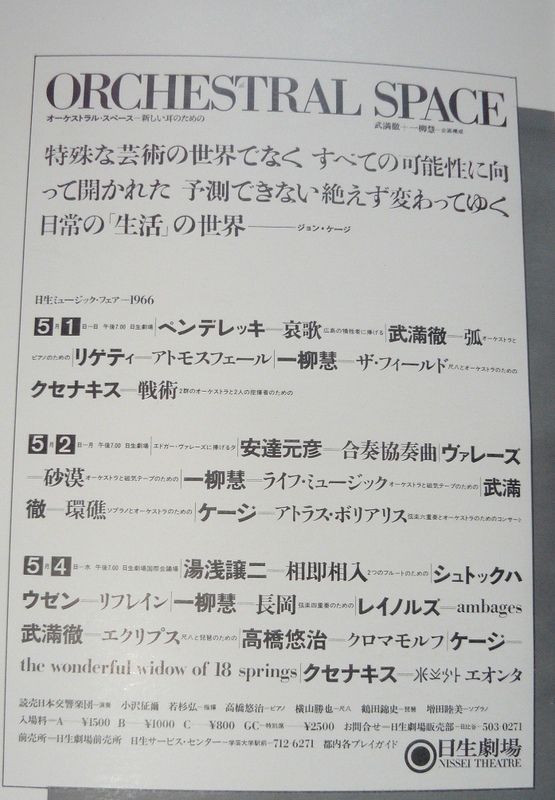 Ruriko Asaoka is more sensual than Chiemi, it brings something different to this repertoire, I’m really a huge fan of this material, if you are both in Itoh Kiyoko and the minyo vibe this album is just the best I’ve heard. 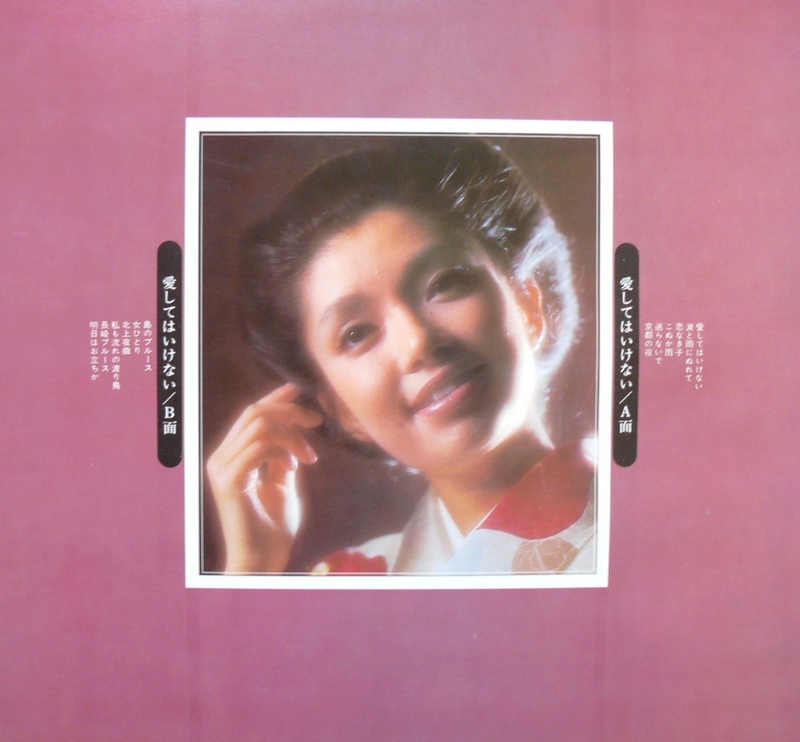 One of the most accessible early Asoaka album, once again as I wrote it a lot of times, this is the cream of good enka / kayo music, if you’re like me, loving the popular songs with minyo influence, Yukiji Asaoka is one of the best singer and all her early albums are like a part of japan’s history. Highly recommended, quite hard to find in good condition after 50 years ! 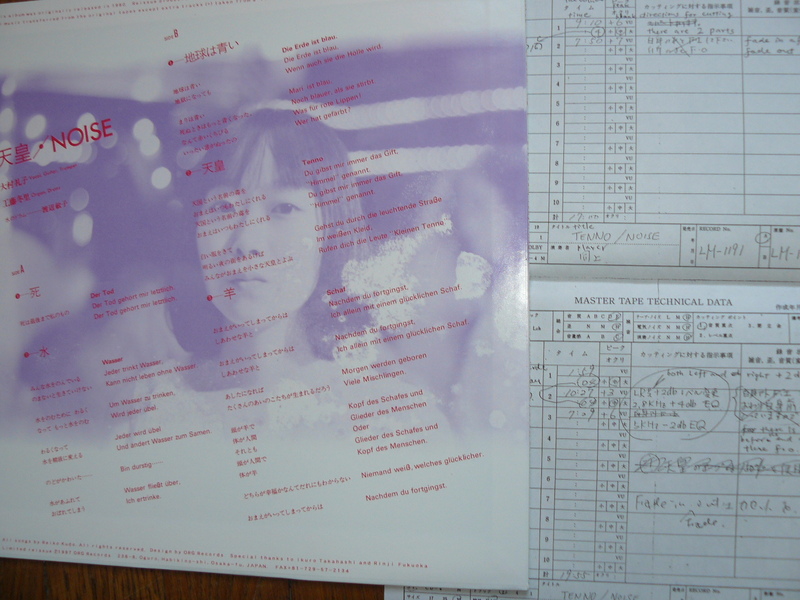 One of the best early Asaoka release, among her 10″ albums it’s my personnal favorite. 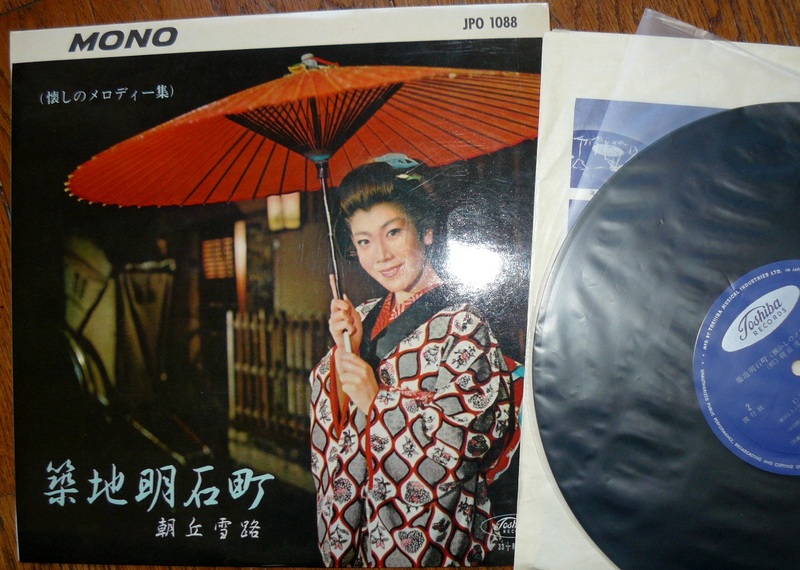 True enka treasure with minyo influences, if you want a true Japan’s piece, I’d recommend you to collect this type of stuff nad go back to the 50 & 60’s movies. 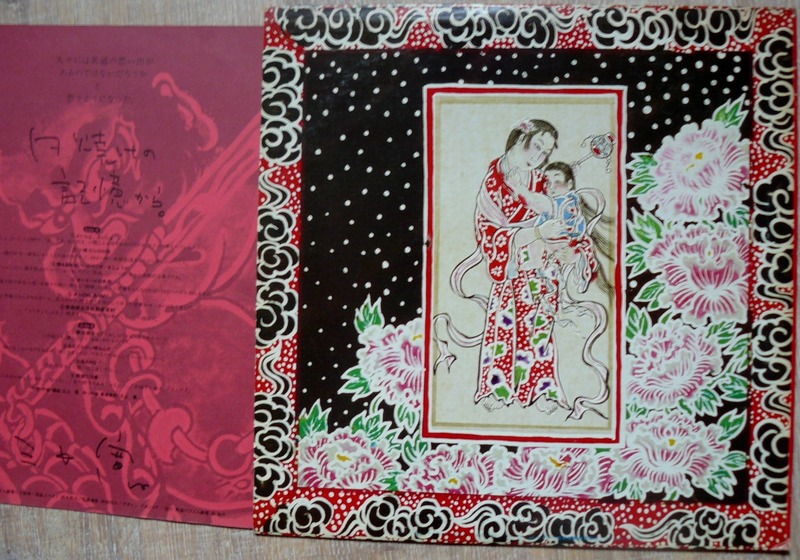 Maybe it’s abit an idealistic vision of Japan, I don’t know but sure the music here is far from any fashion, if enka and ballads are into your veins, that’s for you. 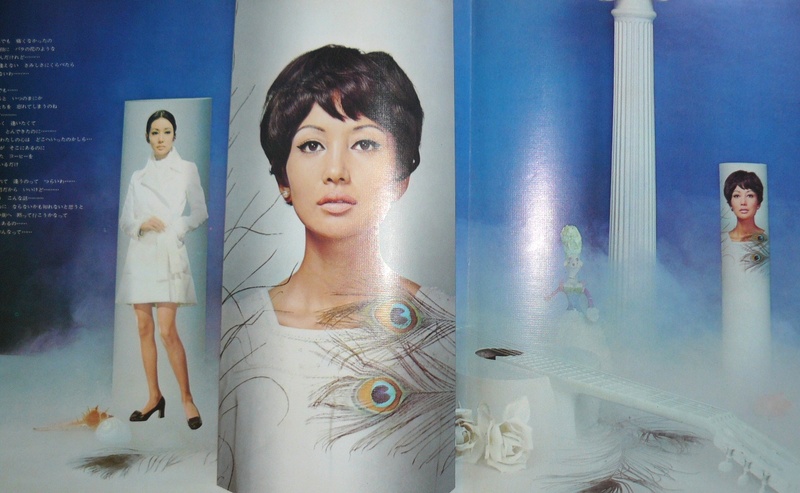 Attention : Yukiji Asaoka’s masterpiece ! One of here rarest and my favorite coming from the early 60′s. 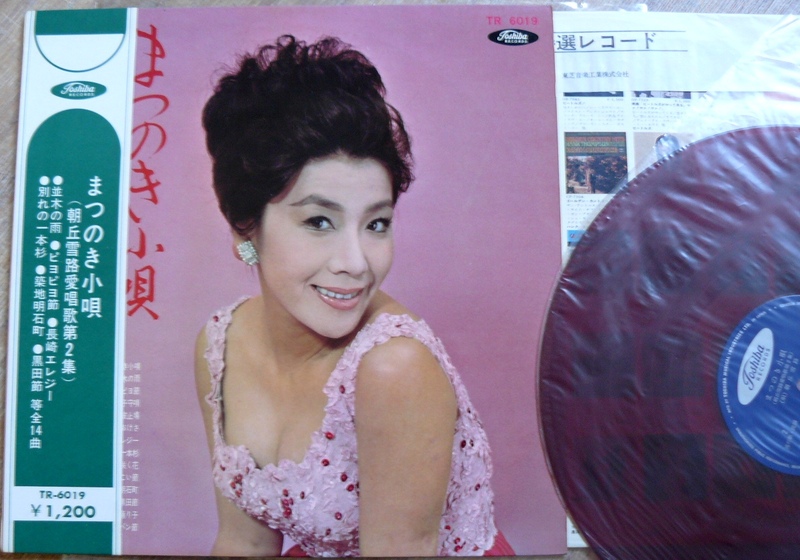 Yukiji Asaoka a a legendary actress and singer, she had one dozen of 10″Lps and a very few 12″ LP from this period. 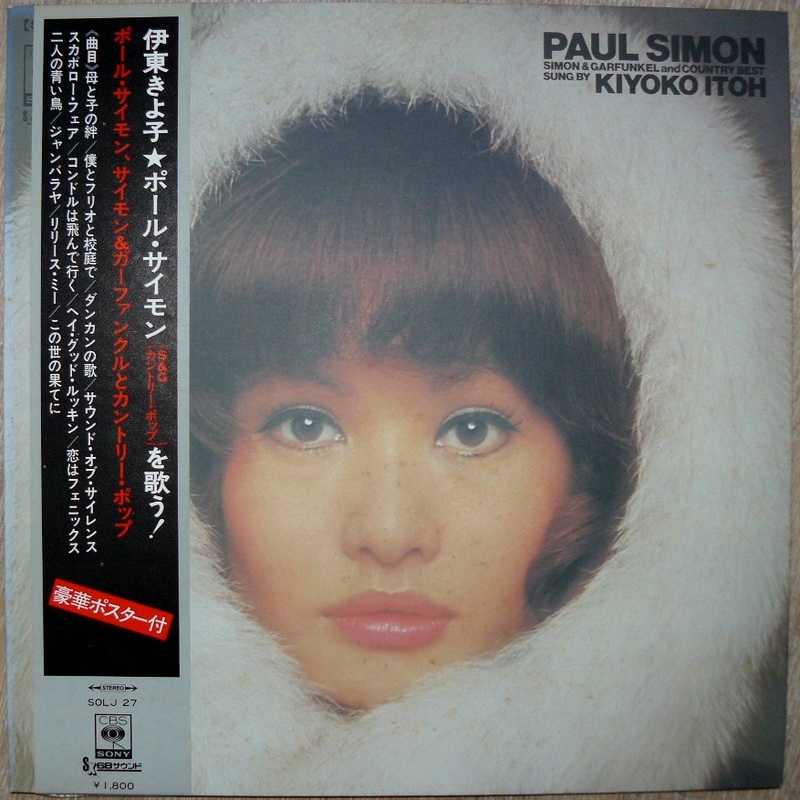 This one is particularly interesting because it gathers some straight enka songs, some minyo influences and has a few tracks with a south american production that could explain she was signed later in 1966 for a bossanova influenced album on Crown label. 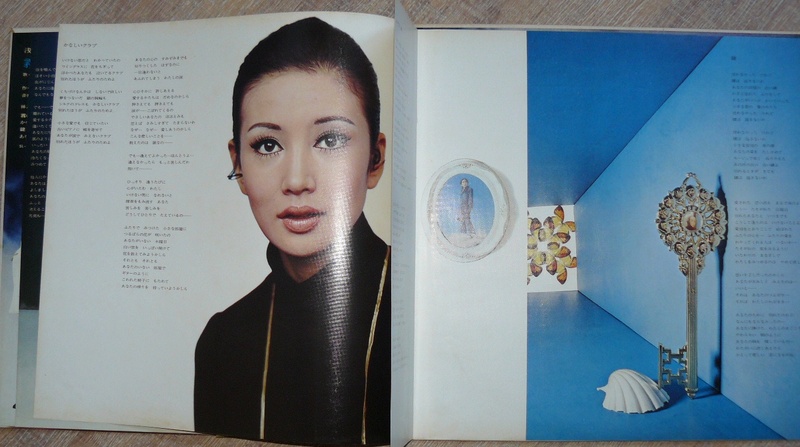 I’d say it’s the perfect bridge between traditions and the cuban vibe à la Eri Chiemi. Yukiji Asaoka is more tempered than Chiemi, she’s a different charm with a slower diction and sometimes a mischievous vibe. So it’s a great synthesis of Asaoka’s highlights, she was not in one distinct style but when she decides to break your heart in pieces, believe me you can only fall in sand but hopefully Asaoka will save you and bring you a rebirth from one song to another one. 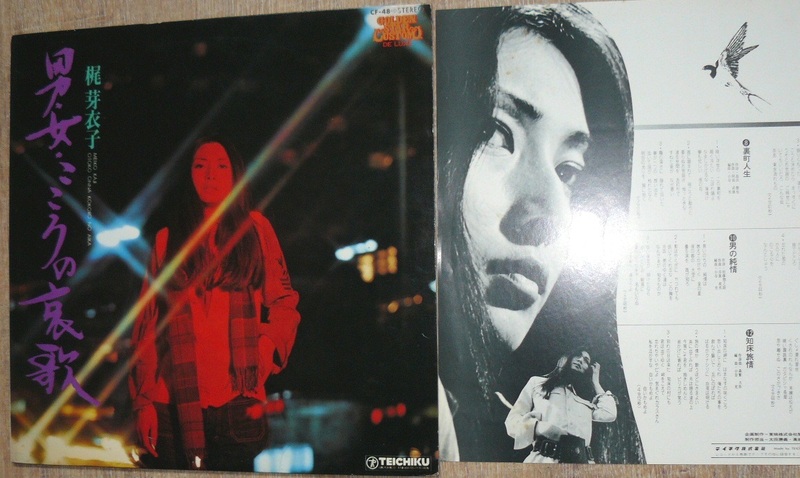 Nice collection with the heroic Izumi Chidori who was an actress in the 70’s and also a very special singer in her early years. 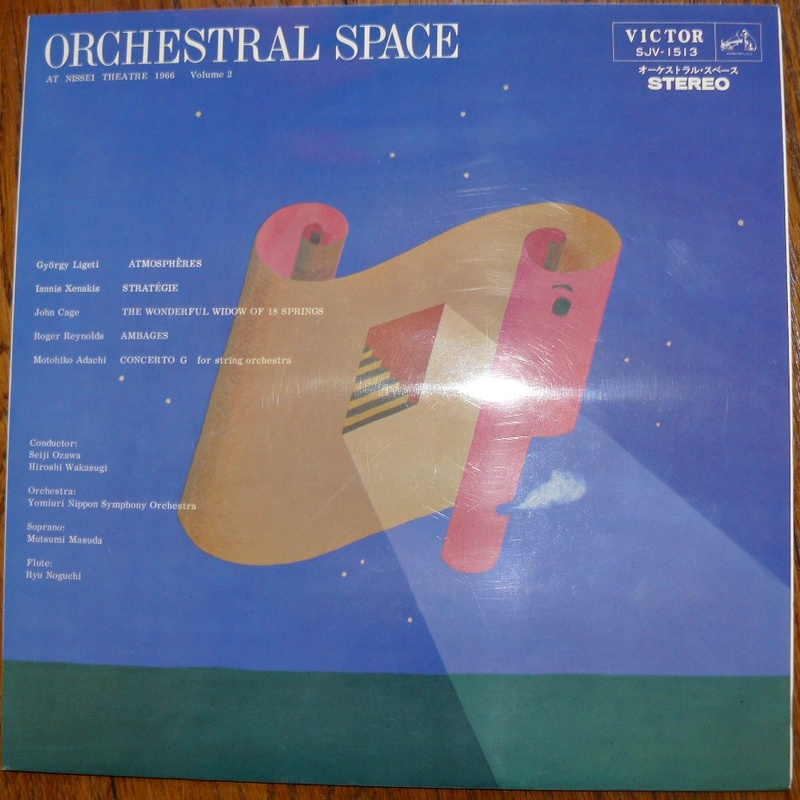 Just look the cover and you’ll get a slight idea of the music you could hear on this compilation. 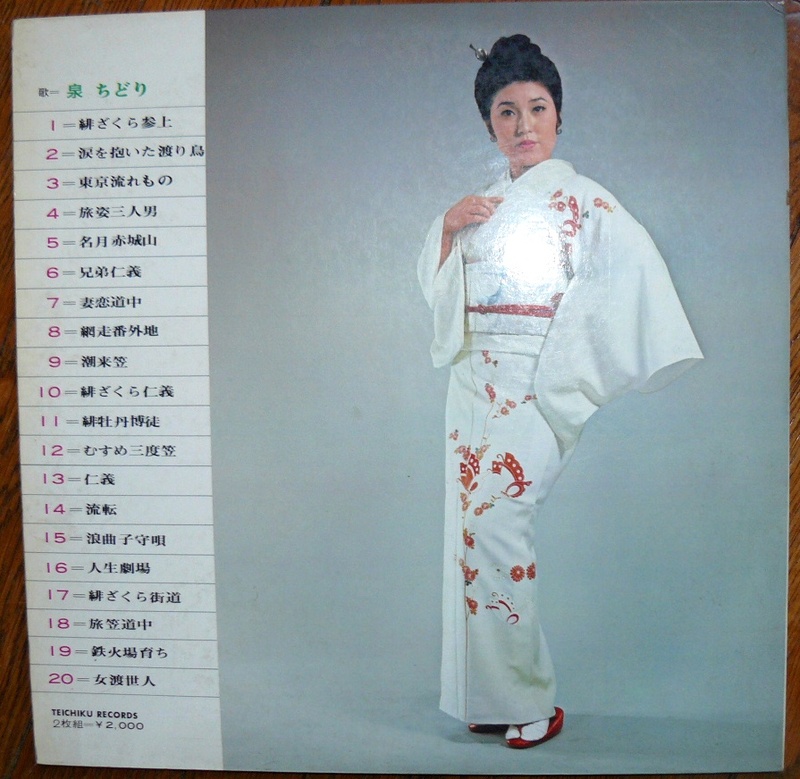 Some enka/ Kayo songs with a yakuza vibe, very cinematographic, very expressive and exhuberant. Music and voice are like a rolling ball, knocking all walls around you. I’m pretty sure Izumi Chidori could be a star in some DJ’s hands…when anti heroes have more to say than the so called heroins…. 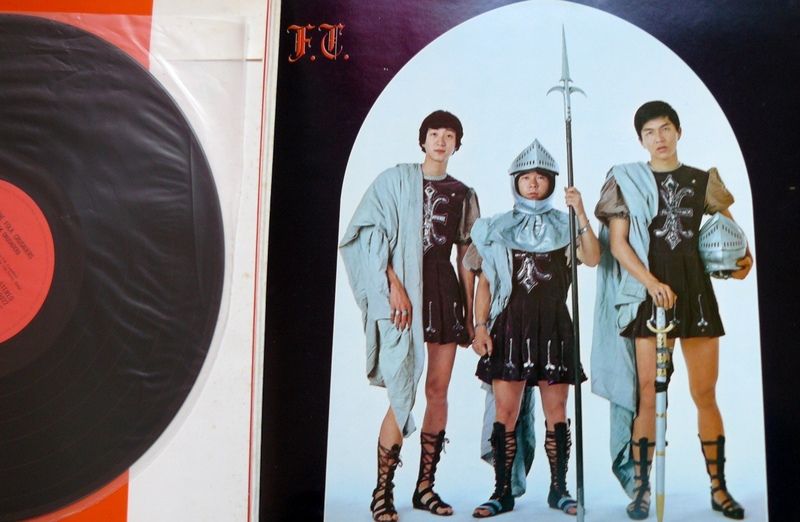 Originally released in 1968 (no idea when this edition was released but it’s definitively a latest one) this album is probably the most famous album by this popular band. 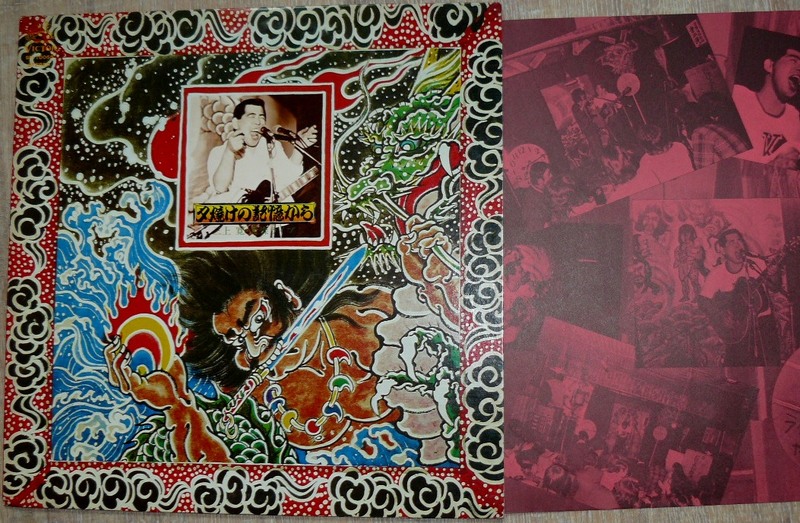 Sadly it’s not so well known here and this album still remains neglected here on our shores. 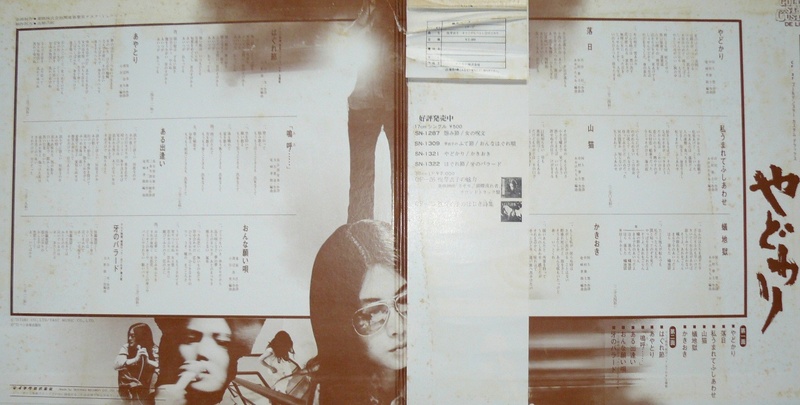 Kazuhiko Kato was the most famous musician from the band with working later under Sadistic Mika band. Kato commited suicide by hanging in 2009 but music survives and songs still knows a lot of covers such as Phew recorded superbly a couple of years ago for her masterpiece “five finger discount”. 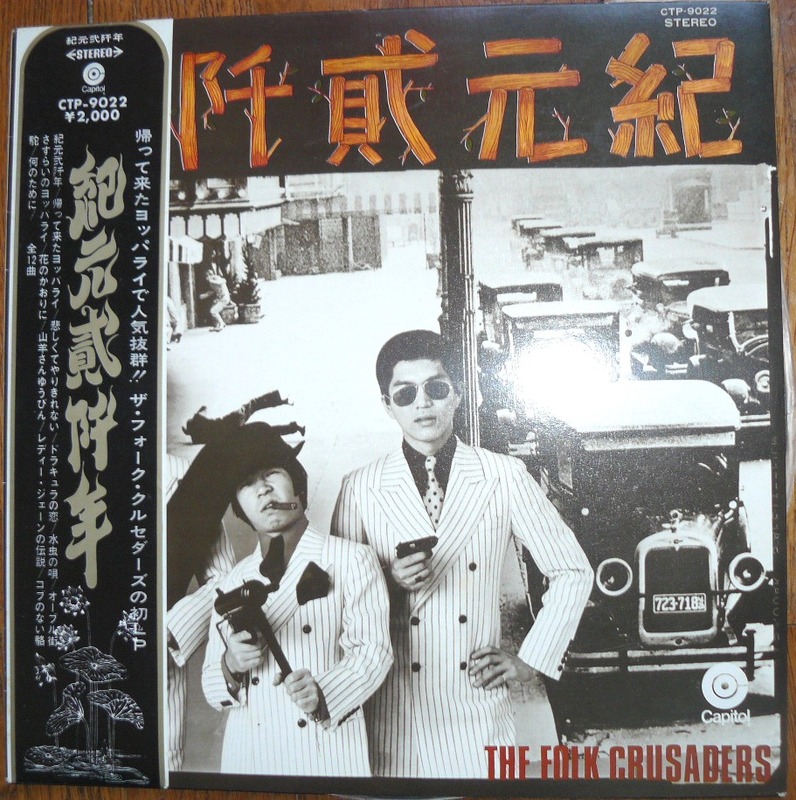 Nobody wrote it but in my opinion it has a lot of similitudes with Happenings Four “Outsider no sekai” but Folk Crusaders recorded this album 2 years before. 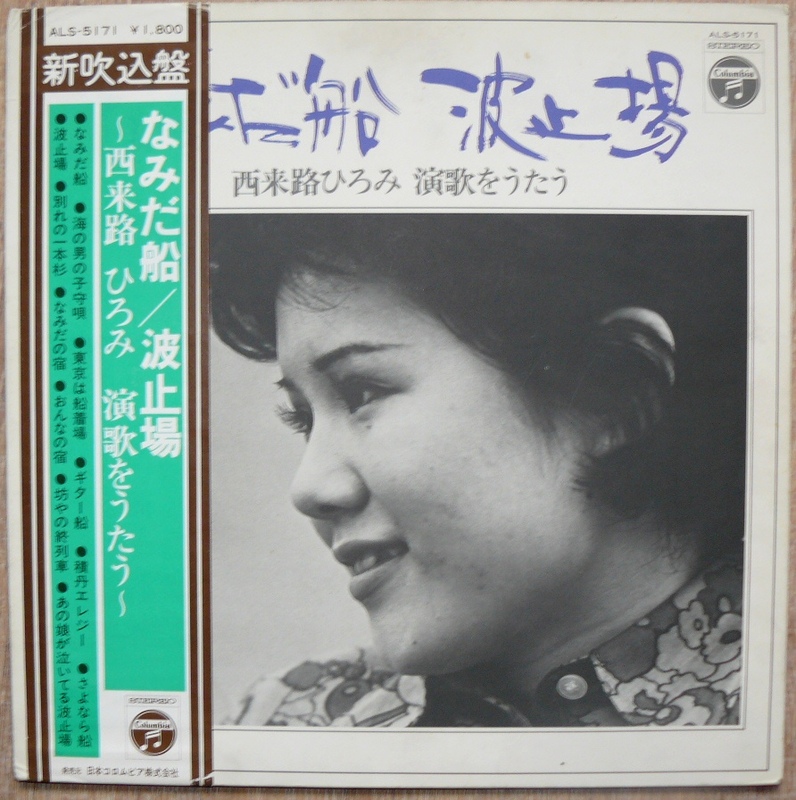 So, music is a very unpredictable patchwork of styles or melancholic ballads, drunken cowboys under amphetamines & LSD, pysché folk with cut ups, tape manipulations…Music has a lot of charms, hard to believe it has been covered by a large range of singers as Phew and Keiko Mari 40 years before. Artwork is gorgeous, definitively one in my personnal top 10 album. 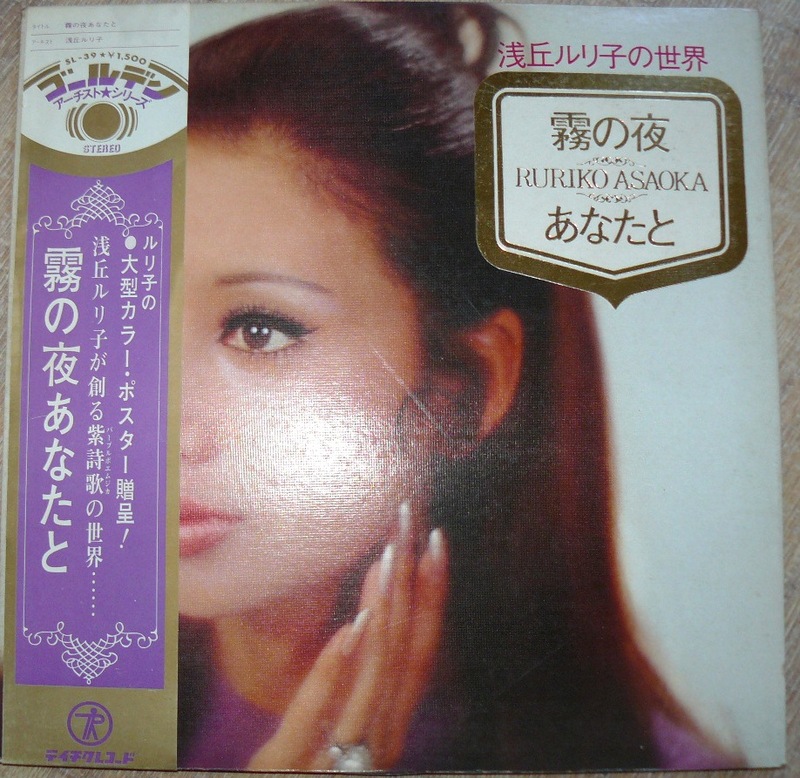 Born in 1950, Ari Hanabusa is a singer who started her career in 1968 but apart a very few informations I don’t know her very well, in fact I’ve discovered her thanks to my friend F. in UK who sent me another mysterious album with her. Strangely I find this album very nice despite it’s deeply rooted in the 70’s, usually my tastes are more in one or 2 decades before. 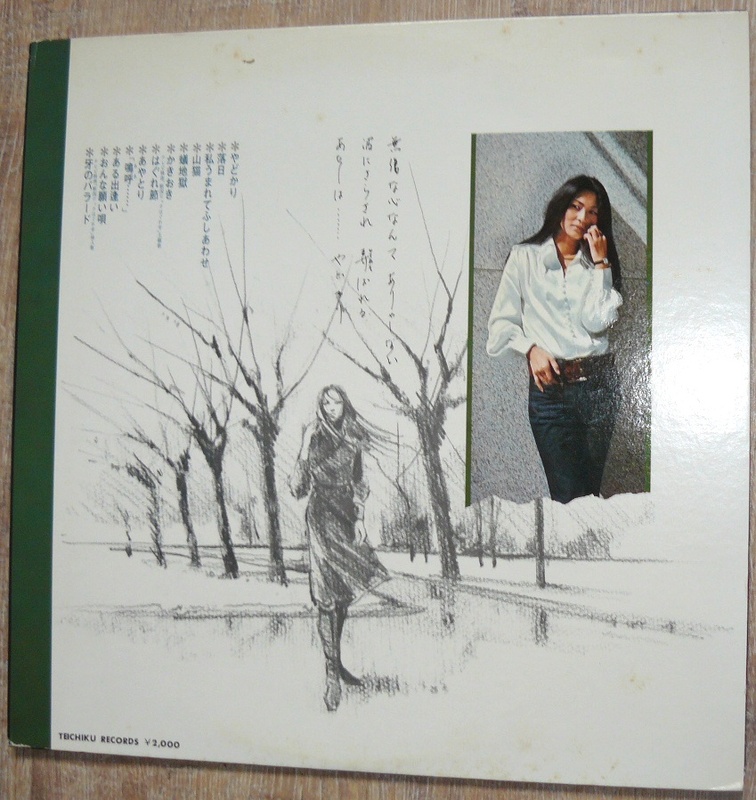 We have here an archetypal collection of kayo songs wit ha few op accents, Ari Hanabusa has a fragile voice, very thin and delicate, there’s a true innocent feeling coming from her voice. 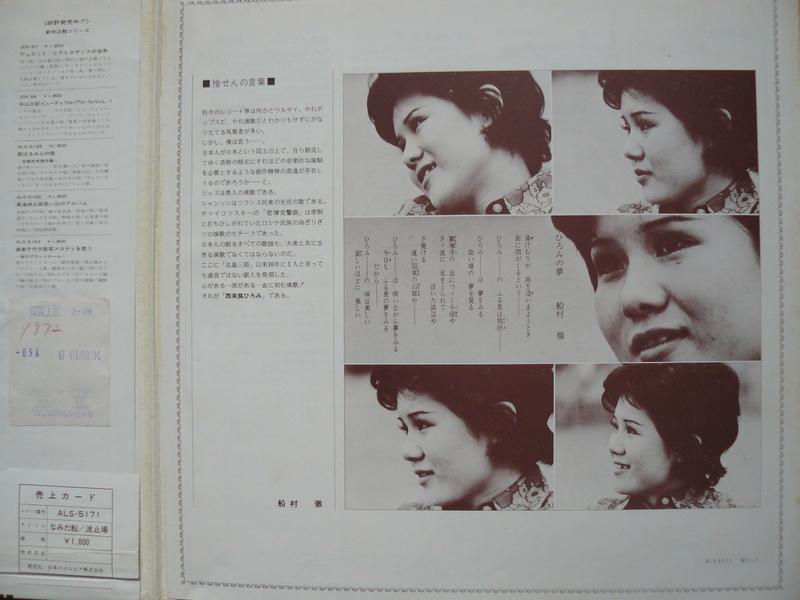 In fact she remains me a litlle of Cherish band singer, the melancholic mood has really something comparable with the ones’ you can hear through Shuji Terayama songs. 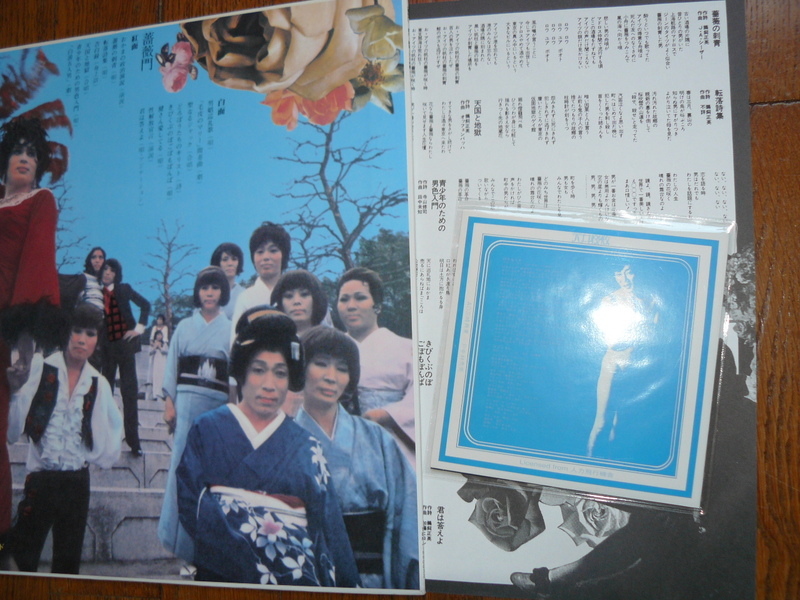 It’s s really rooted in japanese enka pop with a rich and varied orchestration. 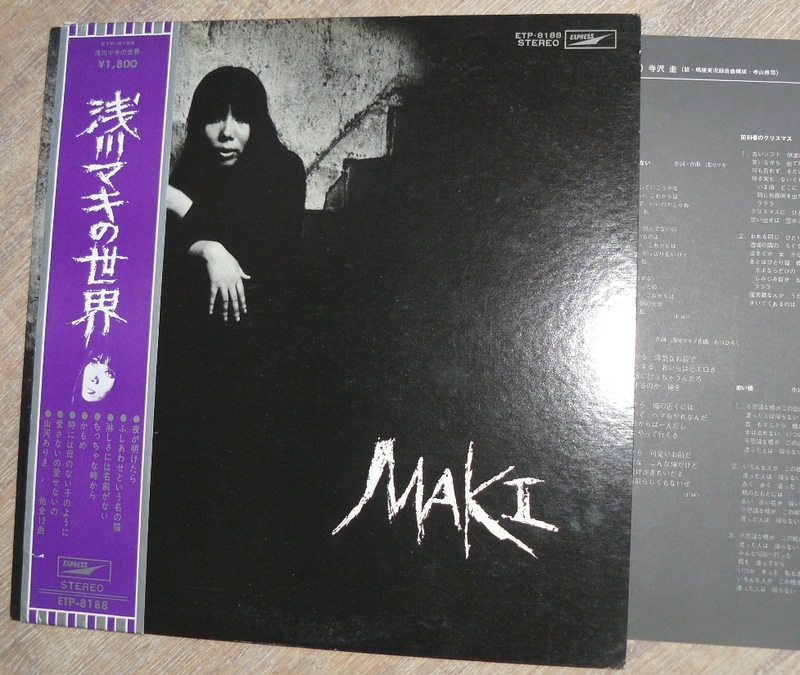 Quite a laid back but like a walk in an hidden garden, like a later Sono Mari, one of the best recent discovery, thanks again F. ! 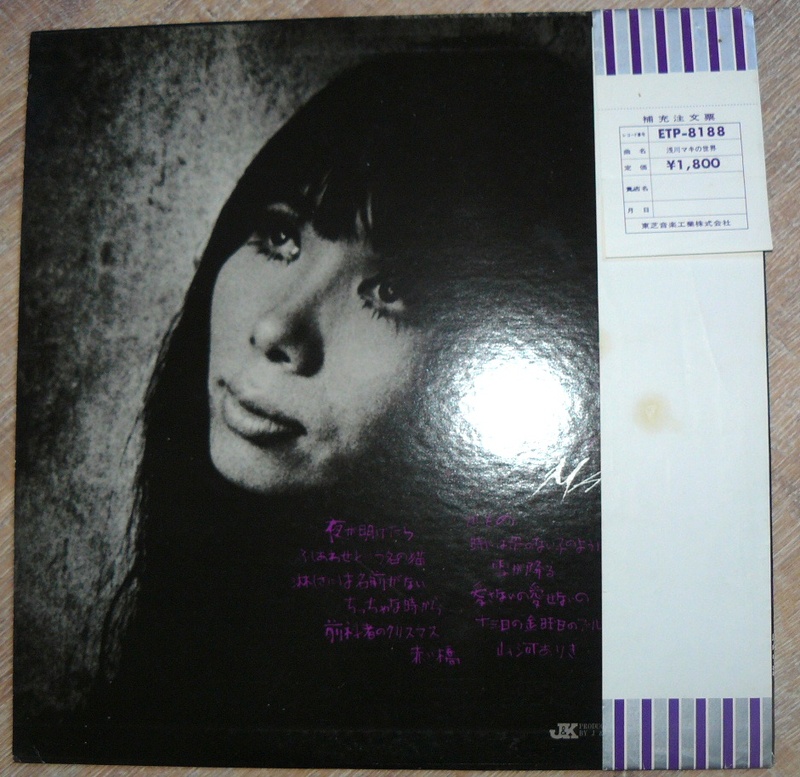 Mega rarity for this unknown, hidden album in Kiyoko’s discography, I think you can have a slight idea of its content with a such title. 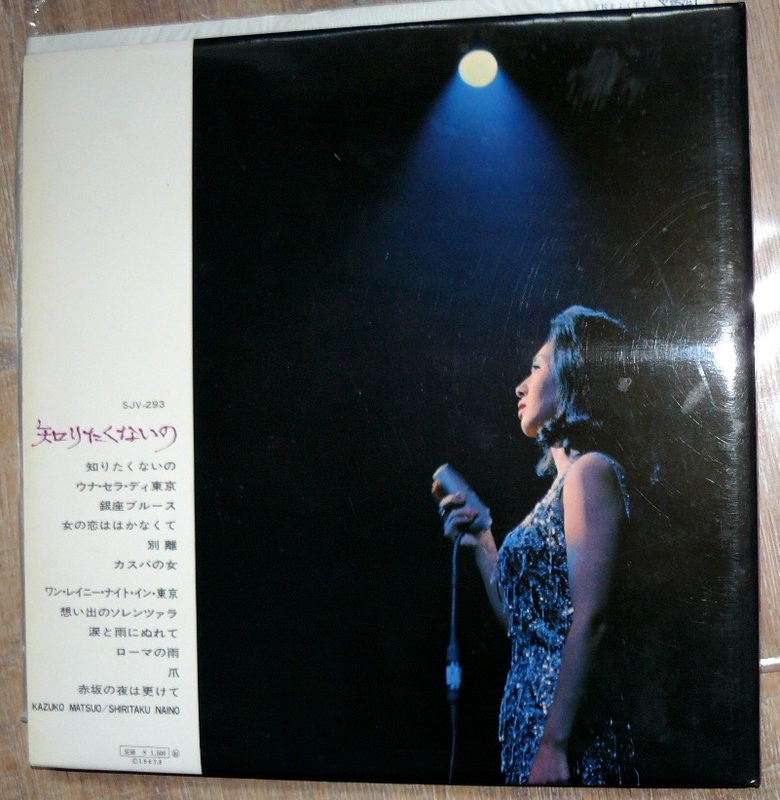 If you’re familiar with this place, you probably know how we fetichize Itoh Kiyoko, along Carmen Maki’s first albums she’s just our favorite singer for years. 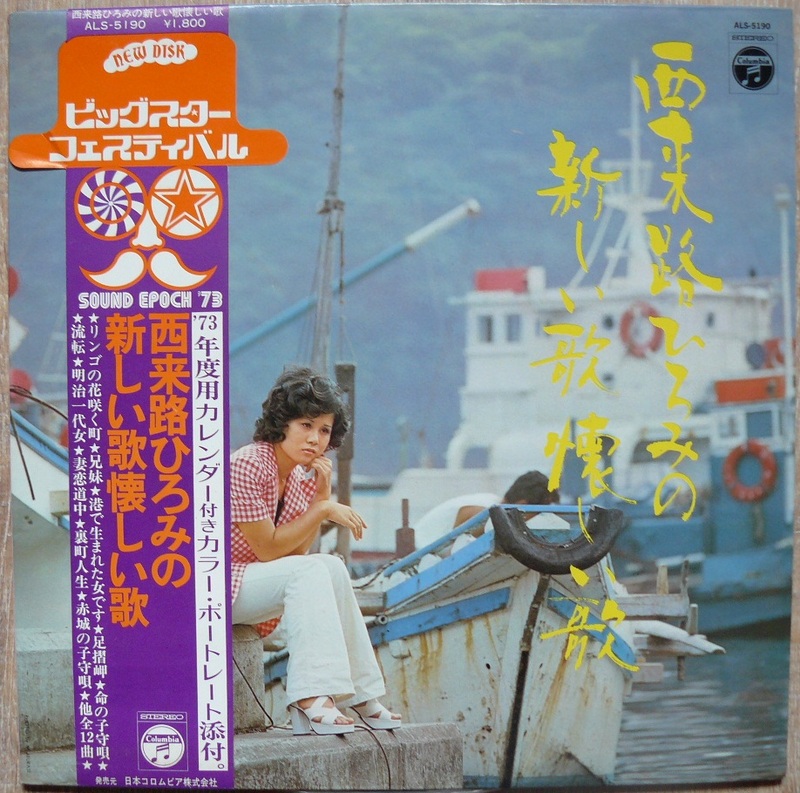 Of course this album has a different place because it’s quite unexpected to hear such covers like “El Condor Pasa”, “The sound of silence” and some more hits like these. Ok, I must admit I’m sometiems like “old socks”, I love ancient hits and Simon & Garfunkel still sound good for my ears ; I’m sometimes a subect for mockery with friends and I haven’t any problem with my various musical tastes. Ok there are also some more country songs on this album, I’m sometimes dubitative, because honestly this a style I don’t like so much. 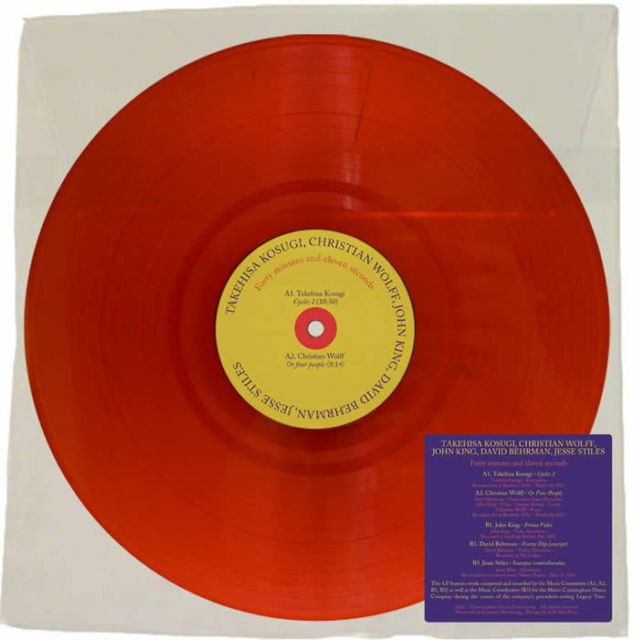 So to be honest the B-Side isn’t perfect for me but my son finds these songs quite funny if you feel like a cowboy spirit. MEGA RARITY, got only 3 copies in my life. 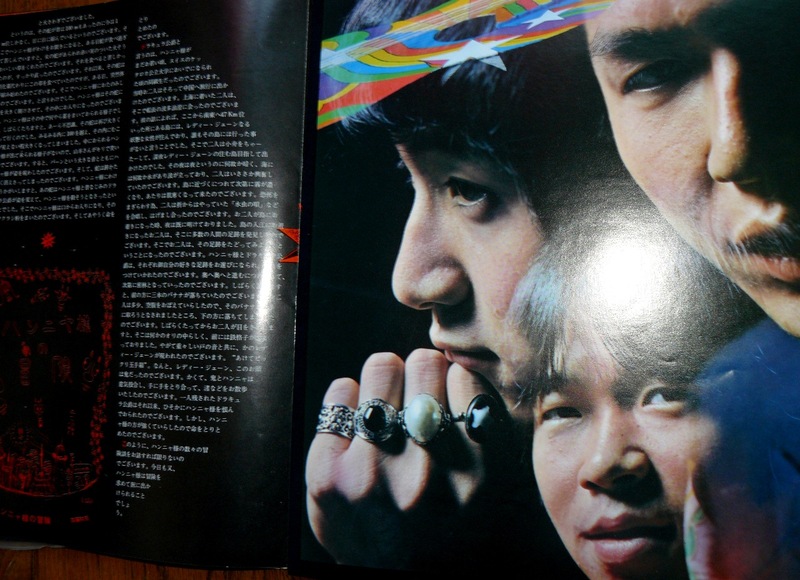 Known as the third album, acid kayo for Sasori fans. 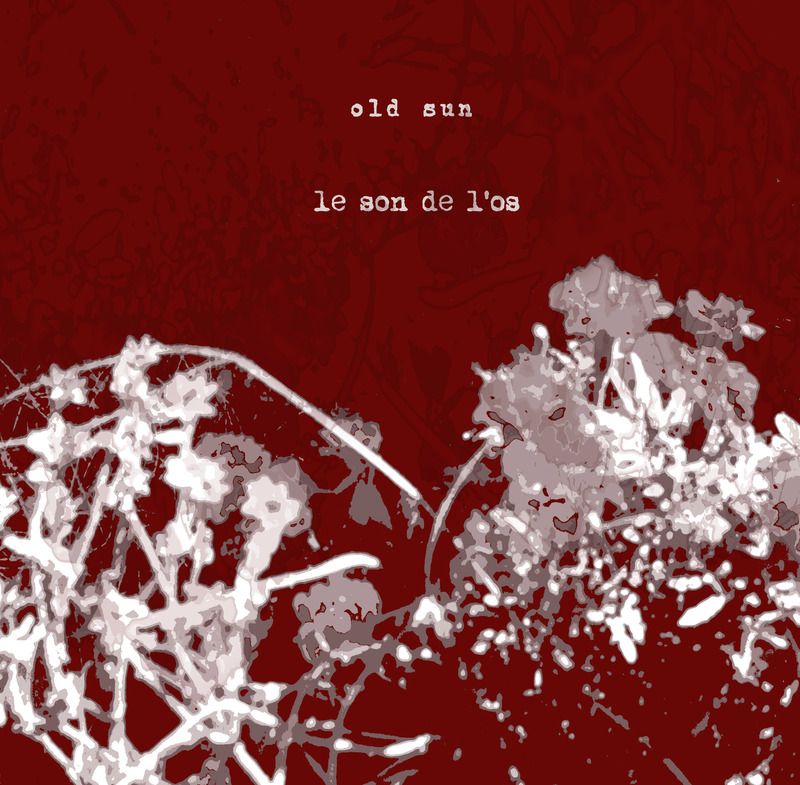 Le son de l’os could be seen picking up where Onna-Kodomo left off in the mid-1990s or early Nijiumu. Ltd to 285, comes in a nice silkscreened cover done by Alan Sherry, dedicated to our friend Joel Nickelson who died before he had completed his first 2 releases on his label. 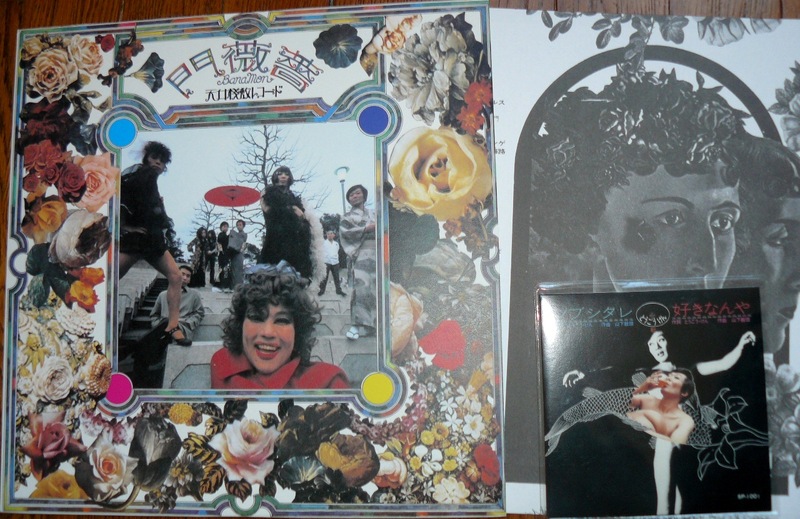 Thanks to Alan who has helped Joel’s family to finish and sell this project along Majutsu No Niwa reissue. 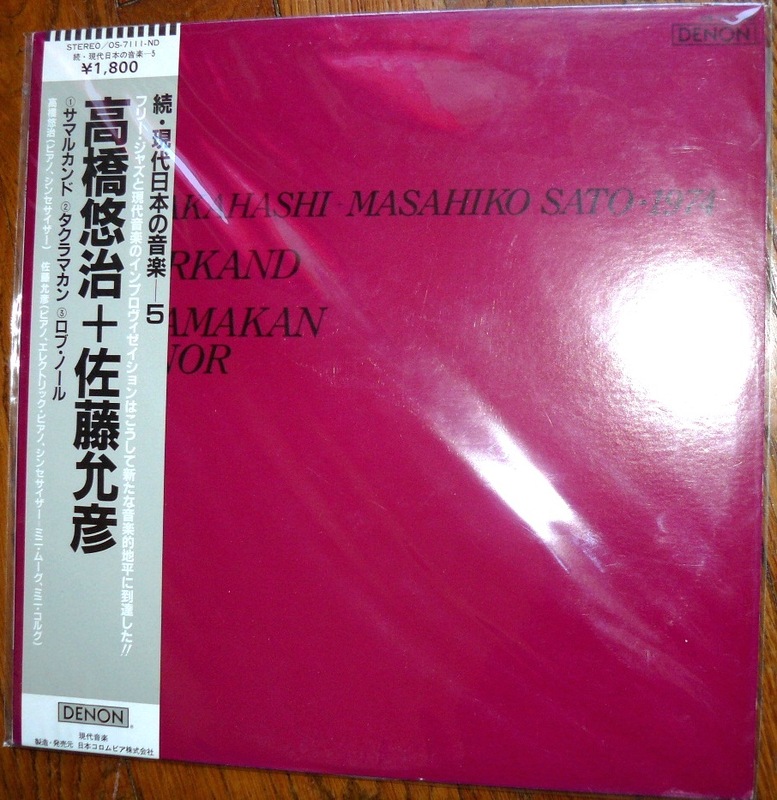 Ltd to 200, 95 came with a blue cover, later reissued under the title “Suddenly, like flames”, this album had Ikuro Takahashi, Masami Kawaguchi with Shinsuke Mishishita’s leader this album is maybe one of the most accomplished album from Japan who finds its source in the Velvet Underground after les Rallizes Dénudes. 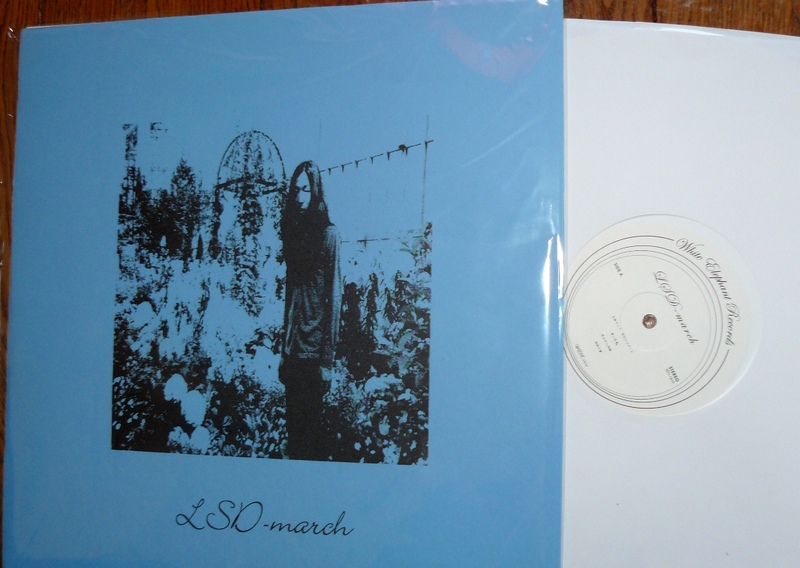 Really nice, sounds anyway very personnalnmurky recording with FX solos, had this kind of depressed blues that could hae been recorded 20 years before. 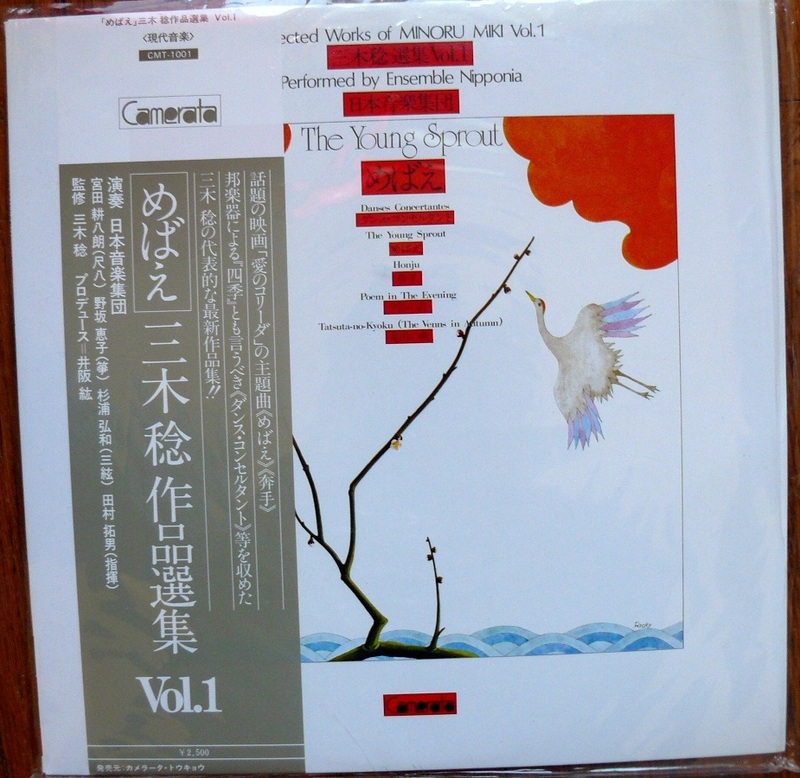 fantastic release from the early years with Mikami Kan facing its public with his acoustic guitar and passion. 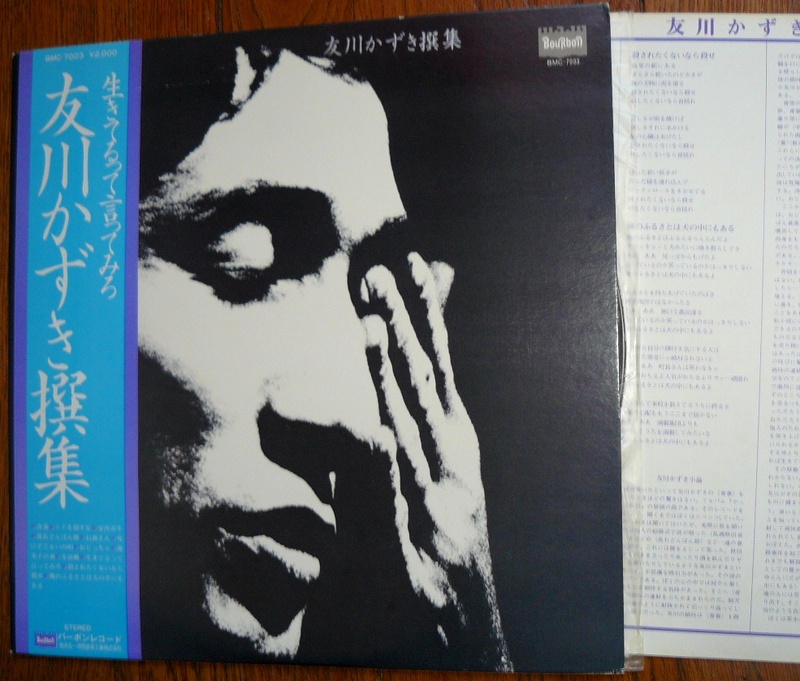 One of his best live release with great classics such ‘Yume wa yoru Hiraku” and “Lake full of piss” and a special mention to the great audience. I’d have loved to hear Mikami there, taht’s not to say he’s bad now but now he’s more like an actor, he just grew up I guess. 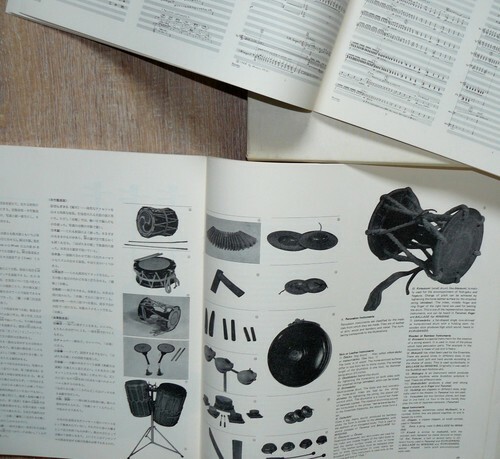 comes with 2 illustrated 60 pages booklets with instruments and scales. 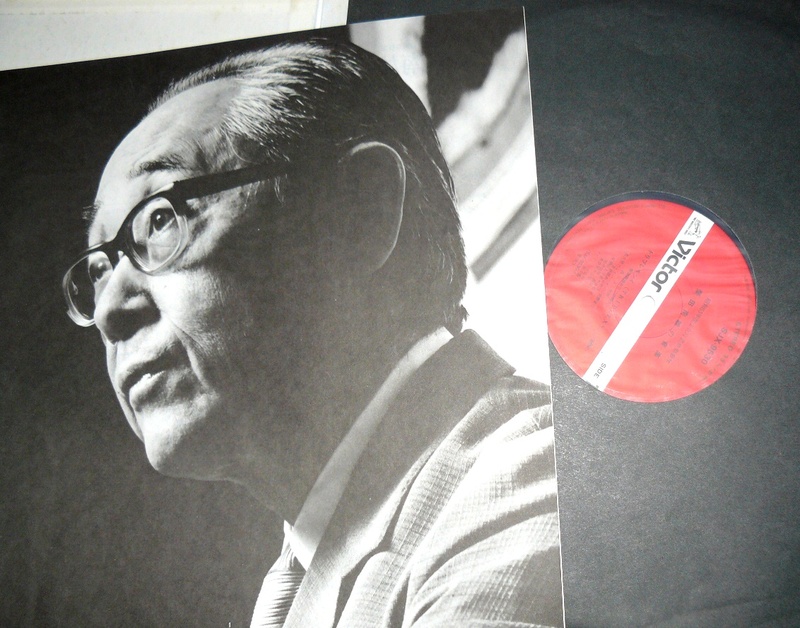 Miki Minoru was a promoter of traditionnal japanese and korean musical instruments and after Toru Takemitsu he was the one of the best overseas well known composer. 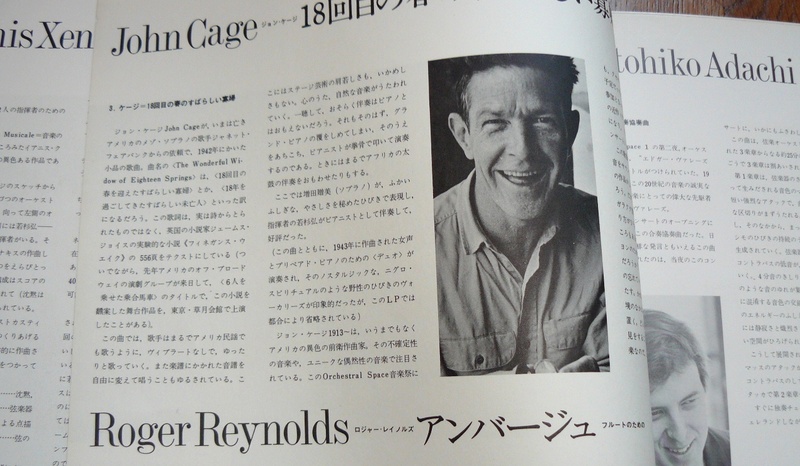 Strangely hes been neglicted by a lot of people in contemporary music despite his varied repertoire. 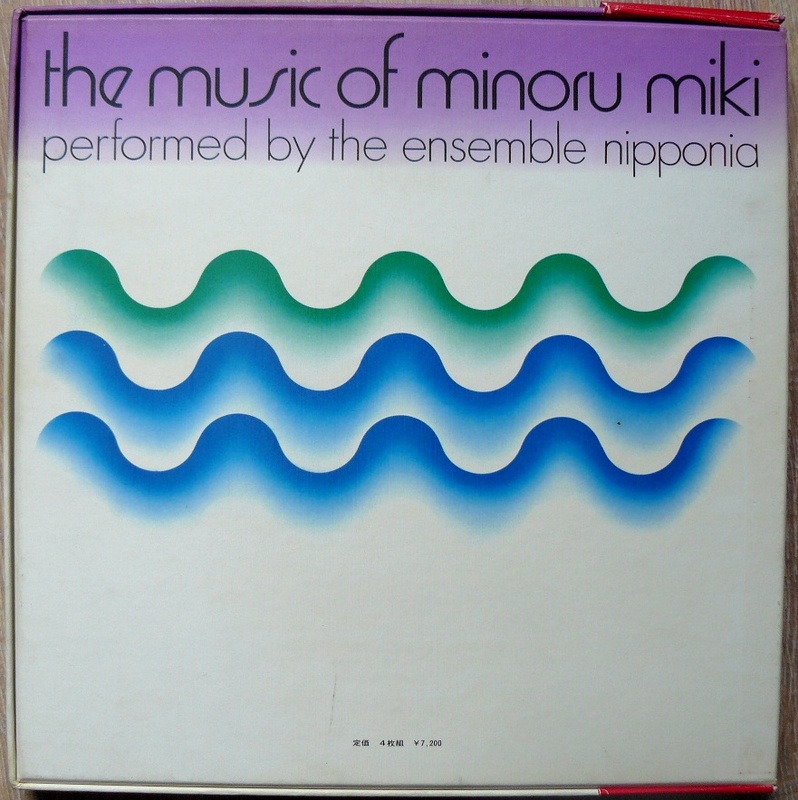 Miki Minoru founded the Nihon Ongaku Shūdan in 1964 also known as Ensemble Nipponia, for which he has composed extensively and collaborated with Keiko Nosaka developing the 21-string koto and reviving the instrument’s repertoire with many new works in a variety of genres and combinations, including five concertos for koto and orchestra. 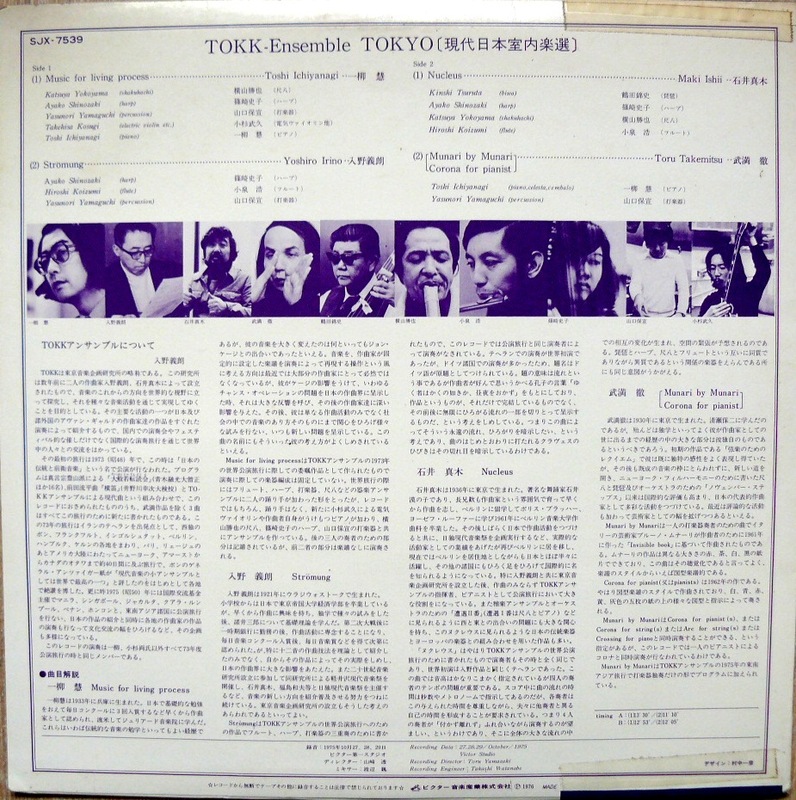 But music here in the box set is not typically japanese, you can hear some western jazz / impro idioms with great folk sides. I must say the sound recording is exceptionnal, you can hear a lot of details and spacialization has rarely been so rich with all the acoustic instruments. 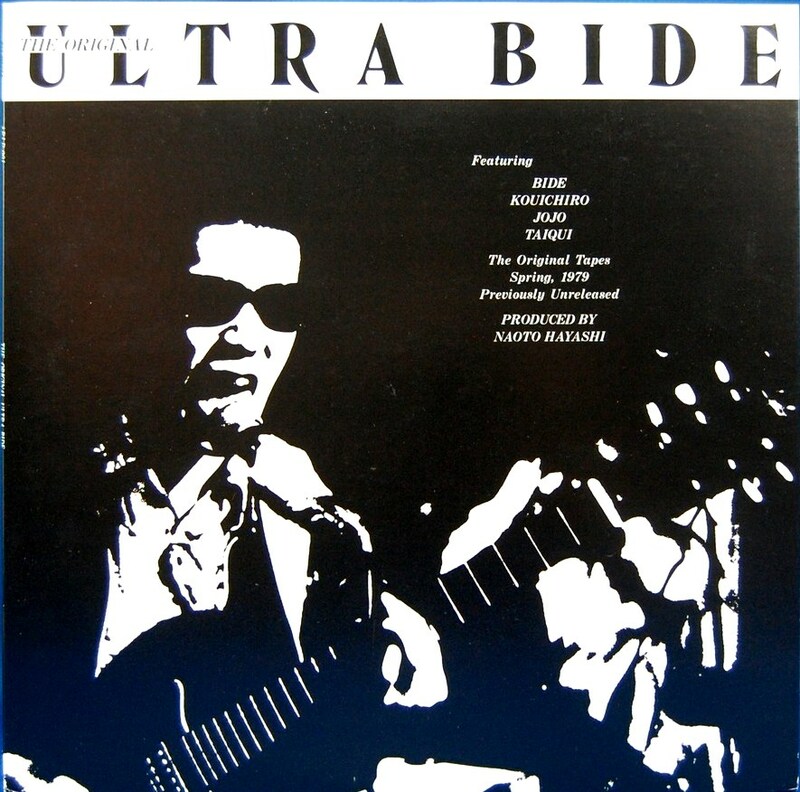 I’d say PLAY IT LOUD if you want to hear all subtilities. 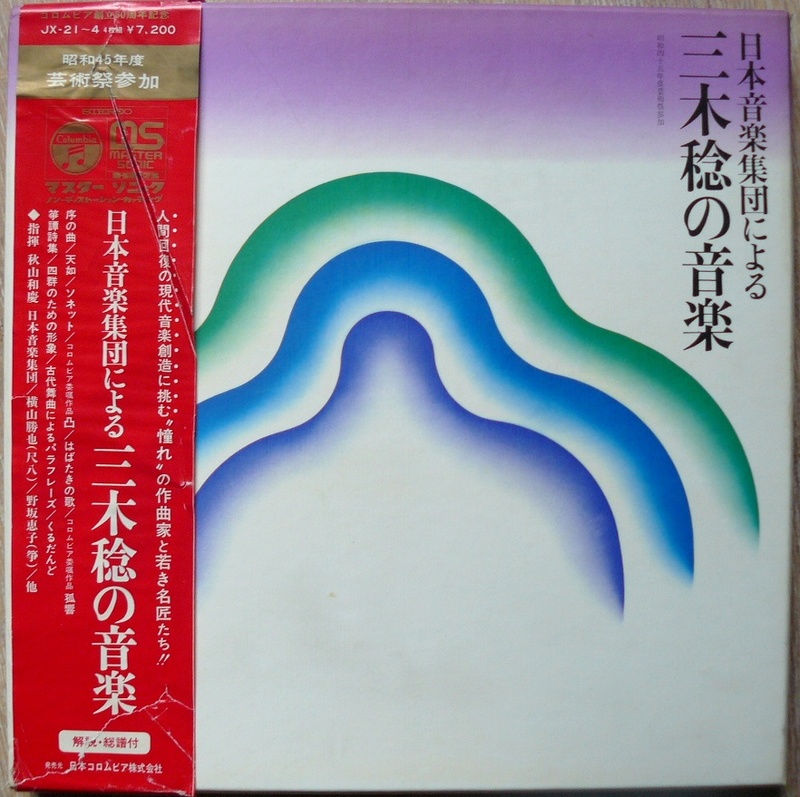 If you are in Makoto Moroi and his shakuhachi compositions, Miki Minoru is less austere but he was also a brilliant composer and his musicians were probably among the best. 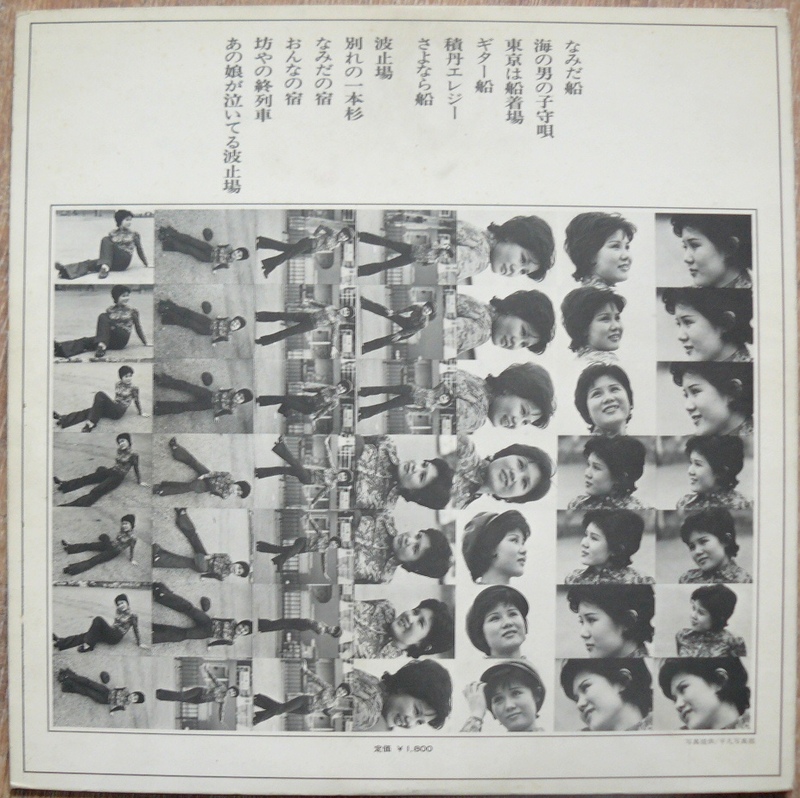 Compositions are Tennyo, Jo No Kyoku, Paraphrase after japanese ancient music; You’ll hear how koto sounds are not only for musical backgrounds, muzak for lifts , restaurants or liquid soaps commercials. Just take a Miki Minoru shower ! 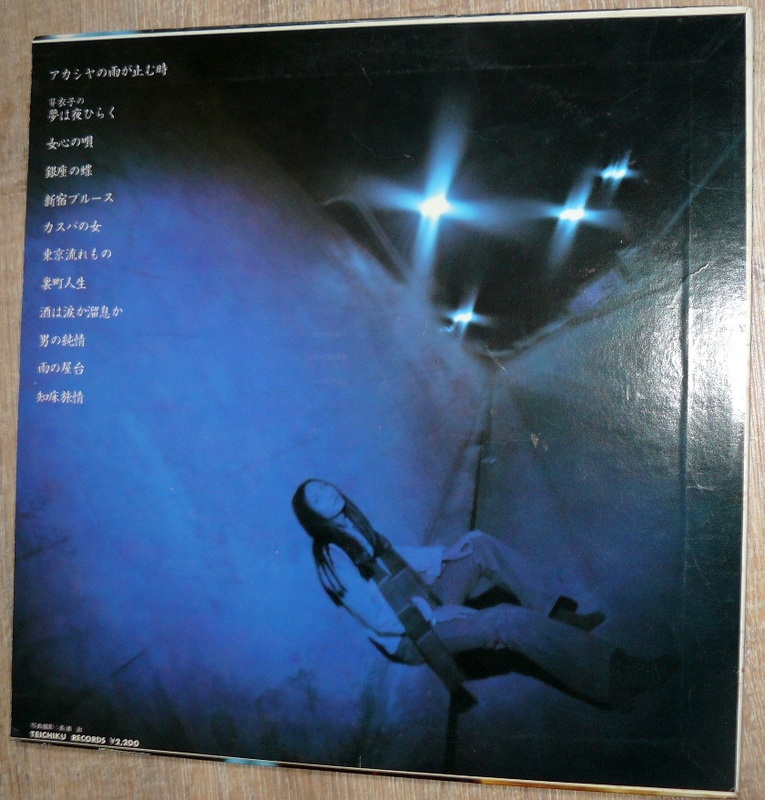 Originally released in 1980 on ALM records with Tori Kudo and Reiko Omura (who became later Kudo’s wife and known as Reiko Kudo) and recorded by Fumio Kosakai, this album is one of the most important album of the underground scene from the 80’s. 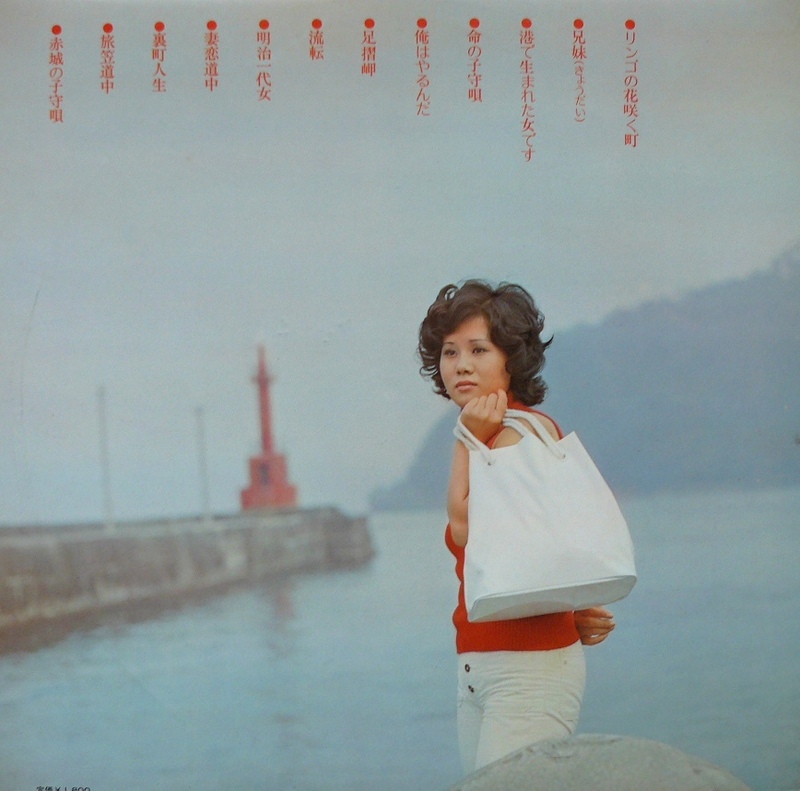 Most songs are (over) driven by a lo fi & doomy organ with Reiko’s fragile voice, echoed trumpets, some would say it’s like an awakened nightmare. 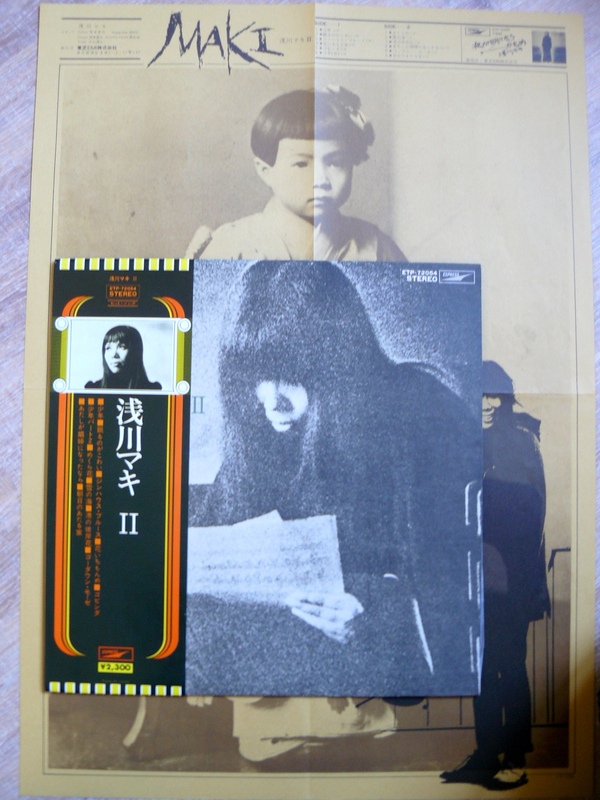 Alienish, coming from nowhere, I’ve seen once maybe it could be a mssing link between Suicide and Nico…essential, a key document and this edition looks better than the original one. 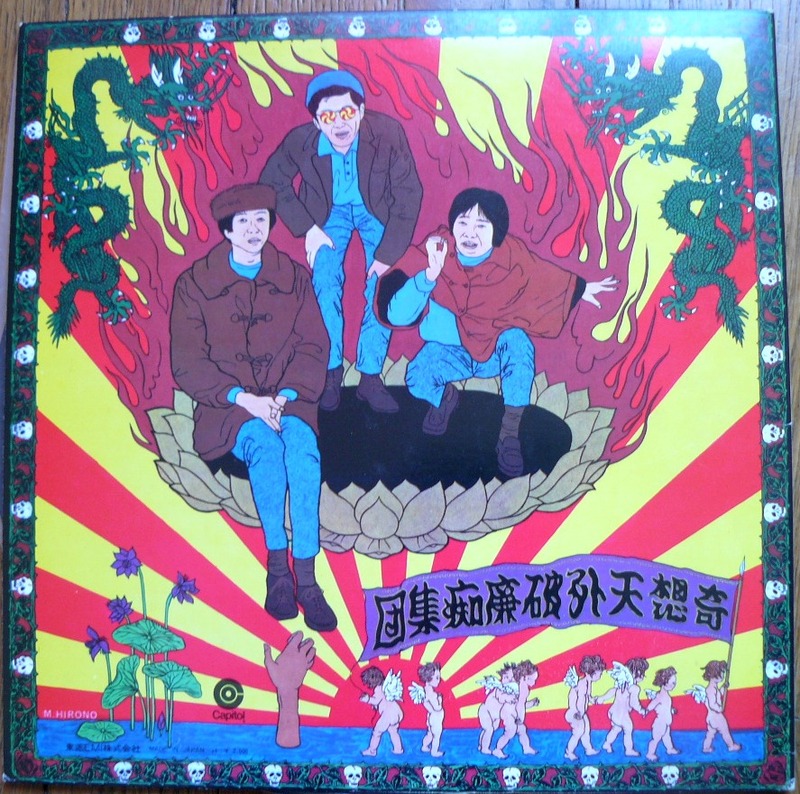 That’s a long time I haven’t a copy of this album that many people like me discovered some years ago through Tiliqua mailorder. Johan from Tiliqua first heard it at Ikeezumi’s PSF boss headquarter so we need to thank them for sharing a such treasure. 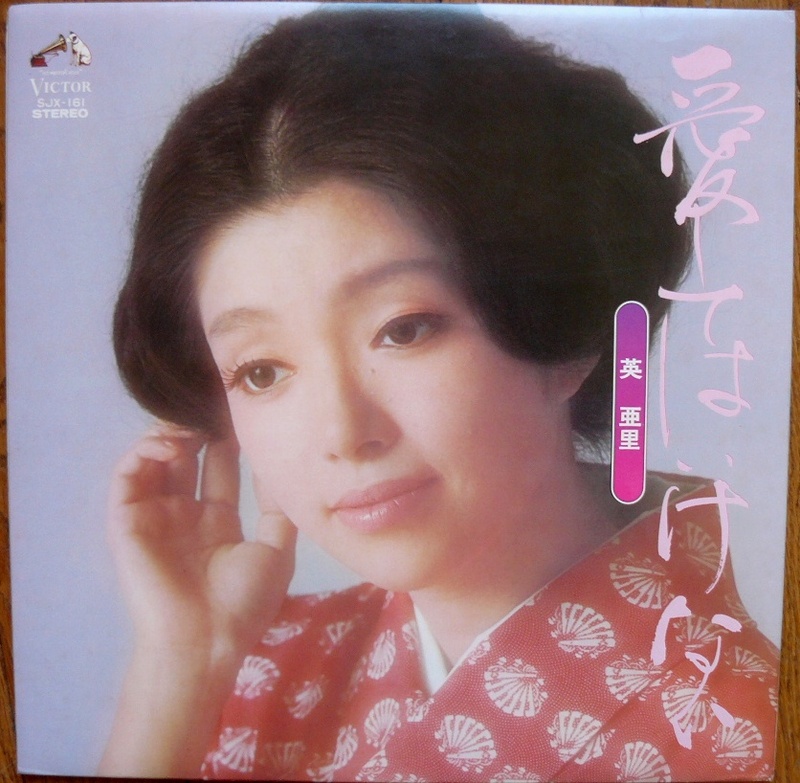 This true fantastic enka/ballads album stills needs to be wisely known and heard. 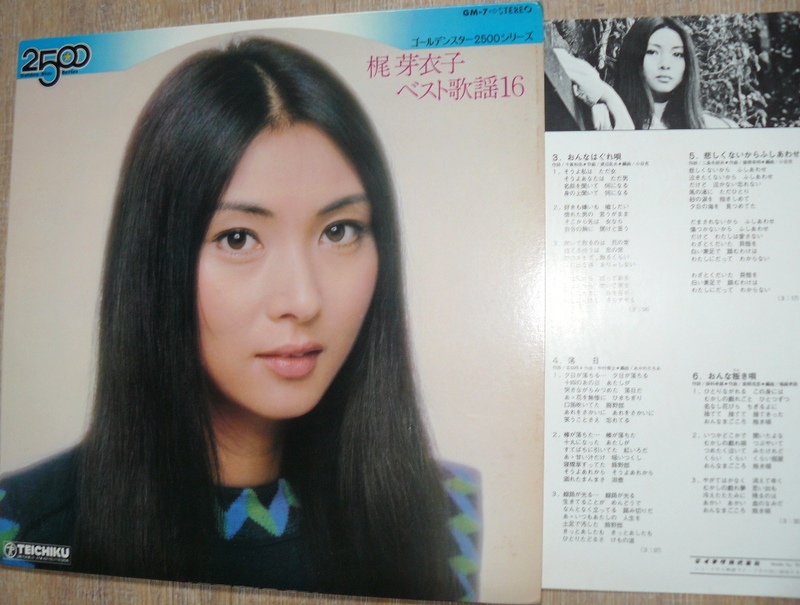 Sairaiji was also an actress and she was 19 years when she recorded this first album composed by the legendary Toru Funamura. 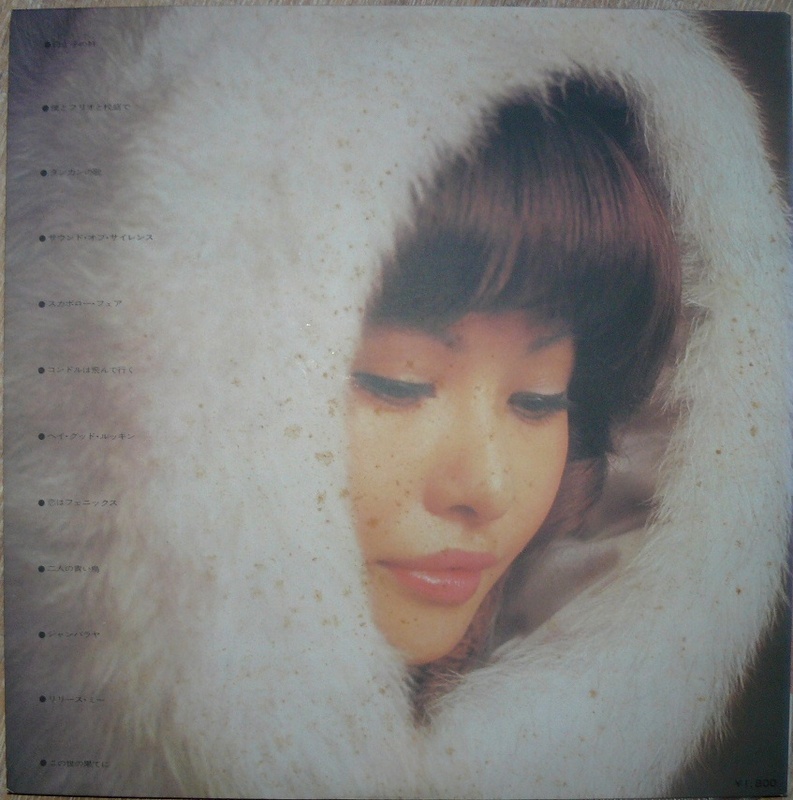 Many songs here are quite well known but Hiromi Sairaiji high and nasal voice is just unique, she howls as she lives her last hours, there’s so much passion, it’s just hard to believe , just like a violent wind entering and breaking windows. 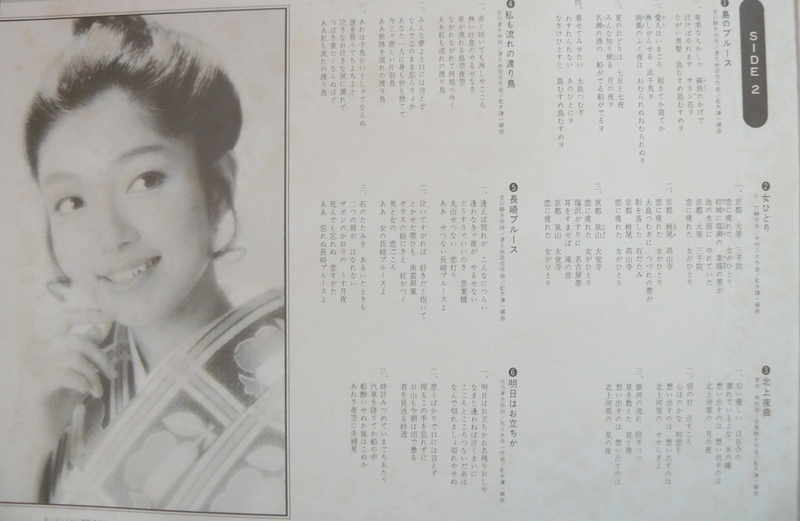 Many peopele have some difficulties to recognize japanese enka singers, believe me, after the first song you’ll hear how Sairaiji is so special, crazy and extreme. 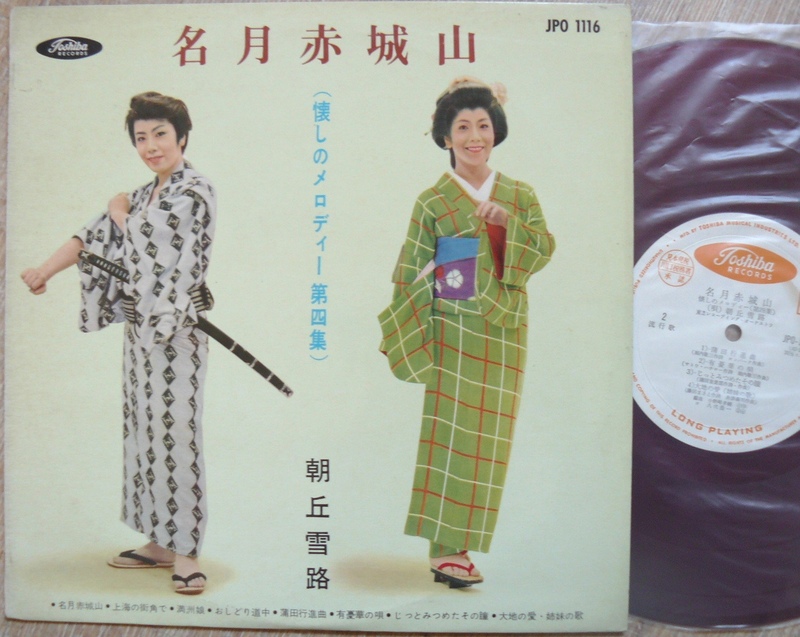 Almost a given price, comes with obi, this is the EXTREME BLOODY ENKA STUFF. 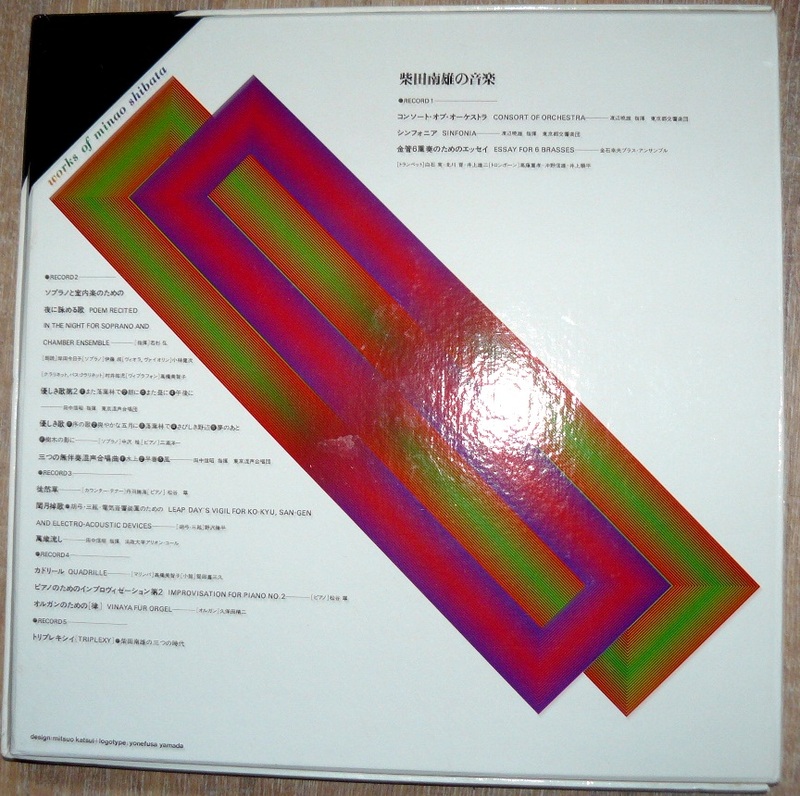 Minao Shibata was born in 1916 and his works show a development from Germanic Romanticism to serialism and electronics in the 1950s and then to more avant-garde techniques, including graphic notation and aleatory writing. 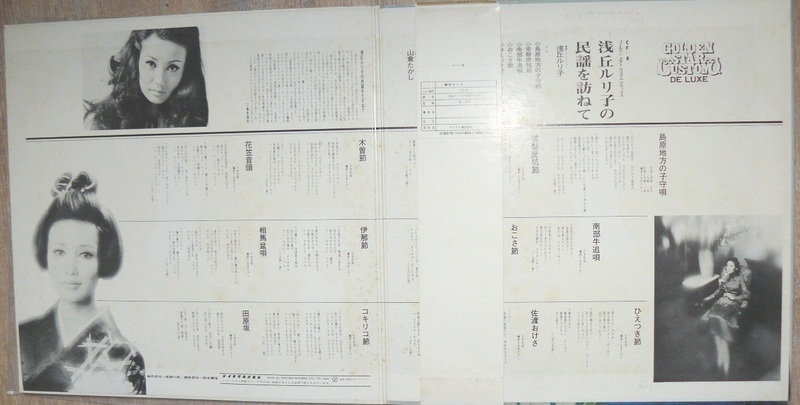 Many of us have only heard of him with is participations through the nice Oto No Hajimari compilation that gathers pioneer documents from NHK studio. 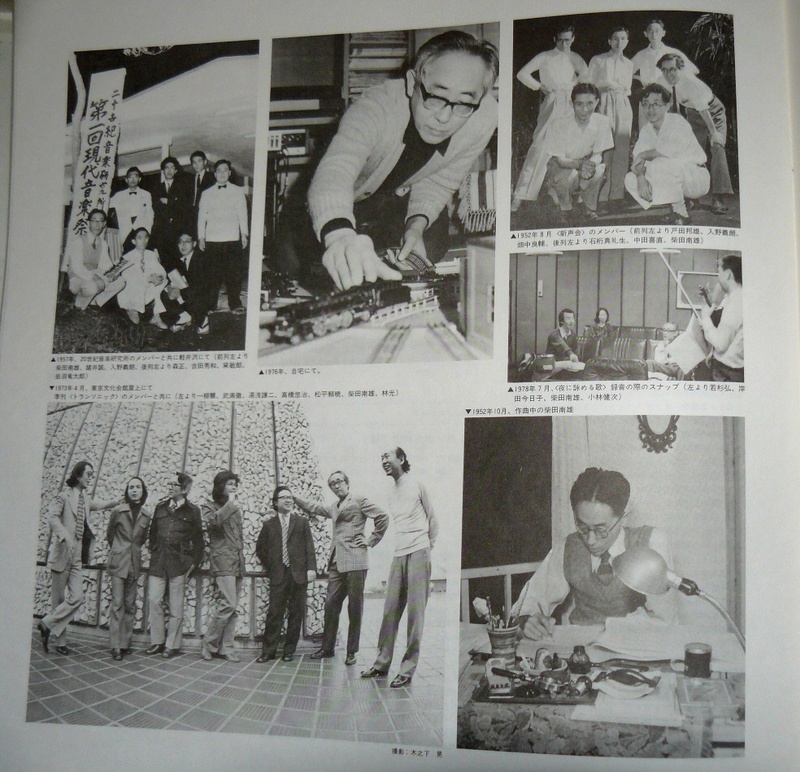 Like Makoto Moroi, Joji Yuasa, Minao Shiabato worked with orchestras and had also recorded some electronic music with filters, modulators. 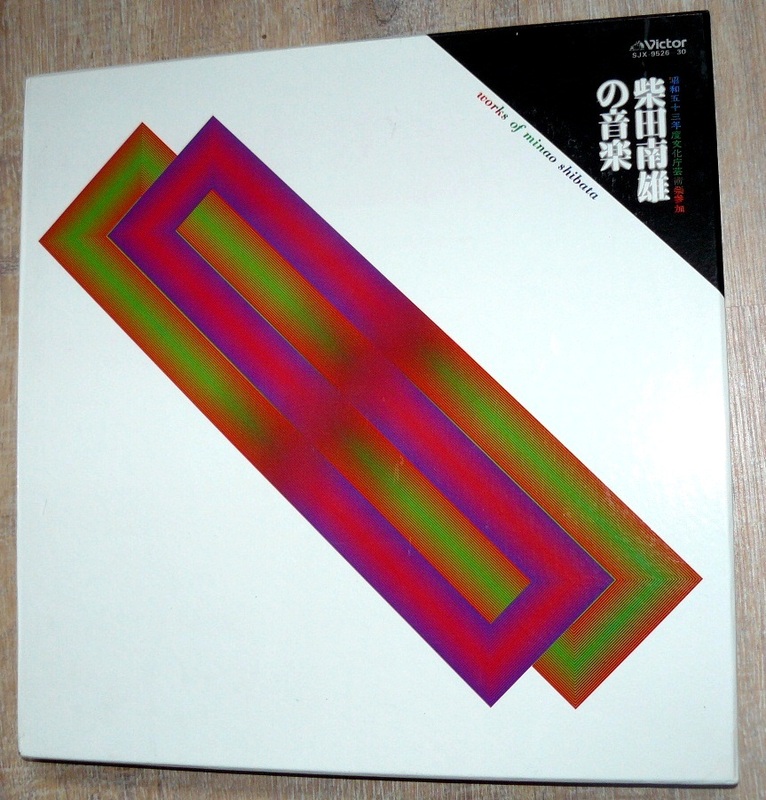 This box is quite uncommon and brings a little of light of one other nice japanese composer. 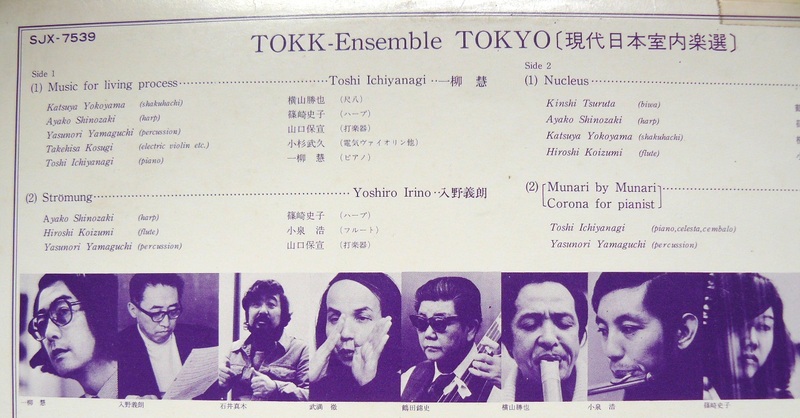 Massive and mythic album featuring Toshi Ichiyanagi, Takehisa Kosugi, Yasunori Yamaguchi among some more names. Not only there are famous names but compositions are great classics and these versions are quite unknown. There’s only the facial obi, it has been fixed with adhesive on the back cover. 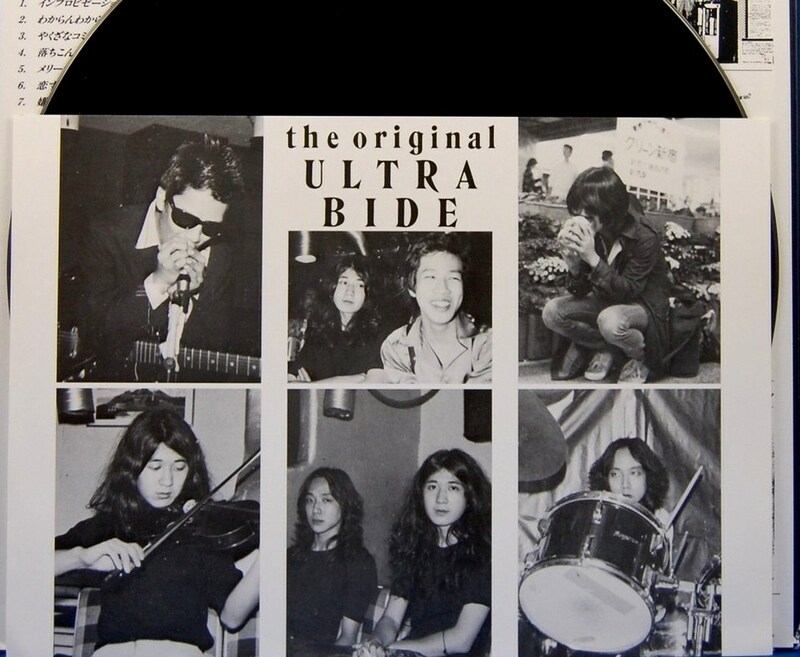 Ultra classic for this band coming from kansai with Jojo Hiroshige on bass; Just punk, just rock as any good punk music ! 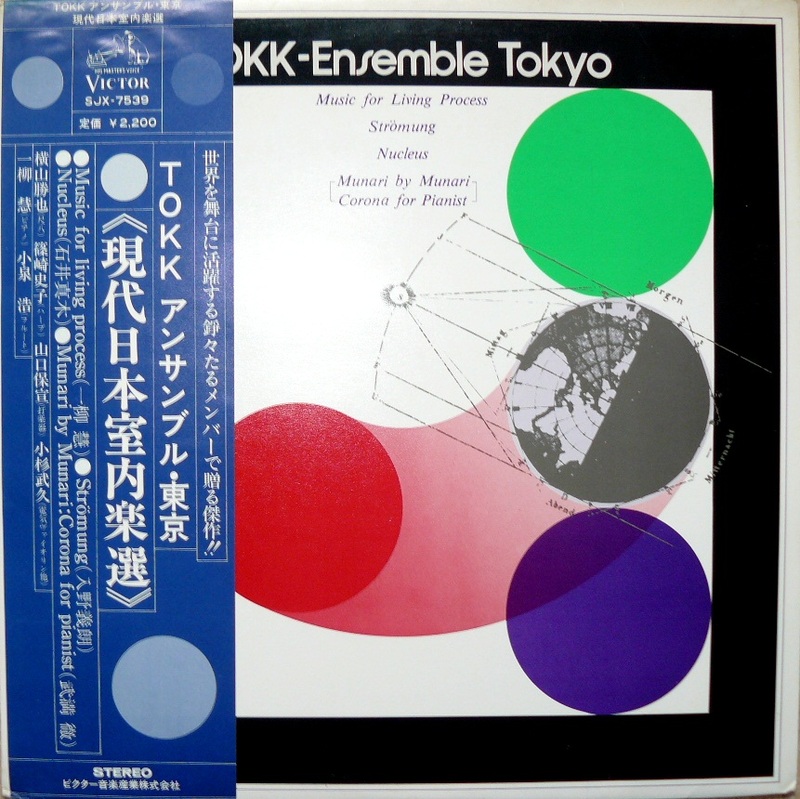 Sold through Merce Cunningham fundation, interesting and official document for Kosugi’s partcipation; I’d say It’s quite funny because in a way Kosugi sounds a bit like Burning Star Core, sounds like easy to do for Kosugi and could be considered as the best Spencer Yeh would make ! Kosugi doesn’t make enough and Yeh just makes too much.